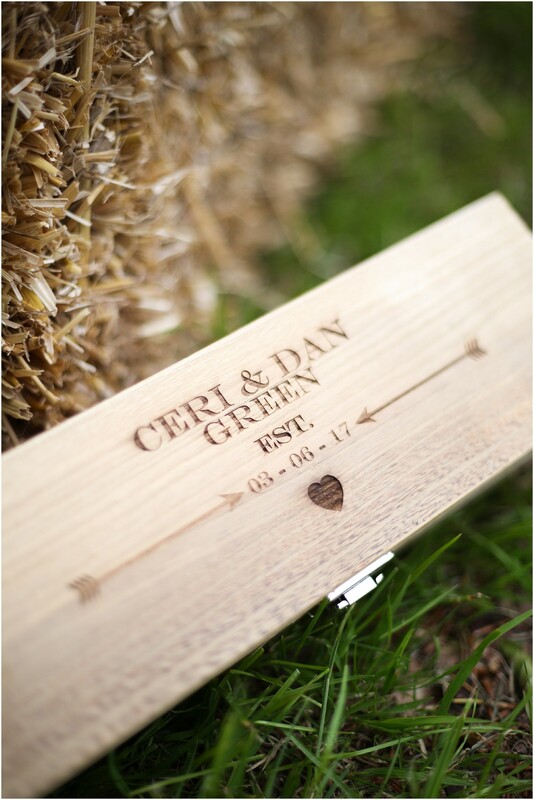 As soon as I met Ceri & Dan I knew that they were my kind of couple. 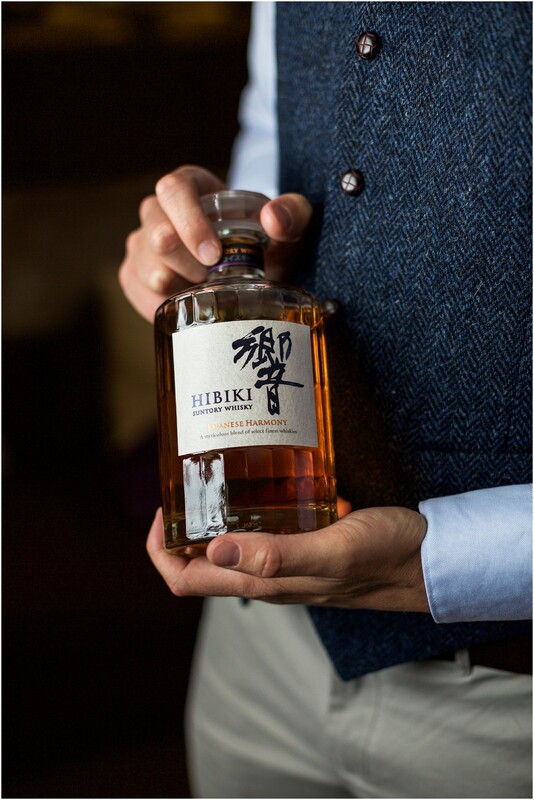 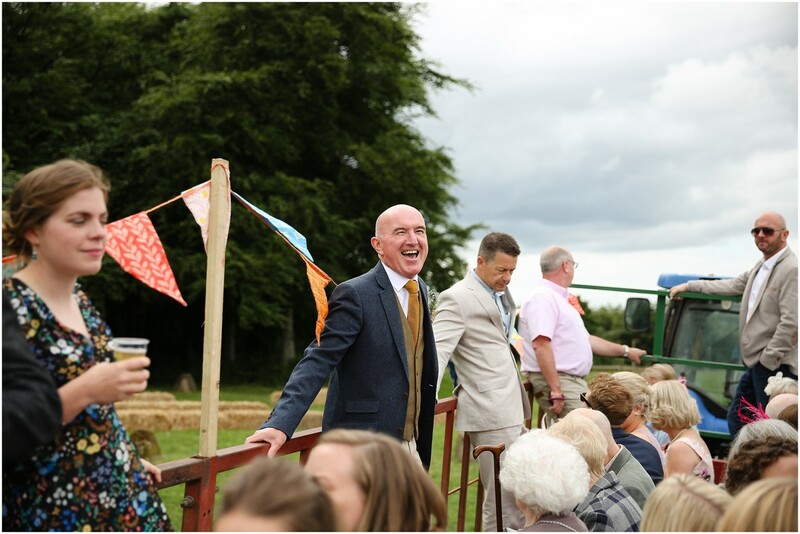 The happy go lucky type! 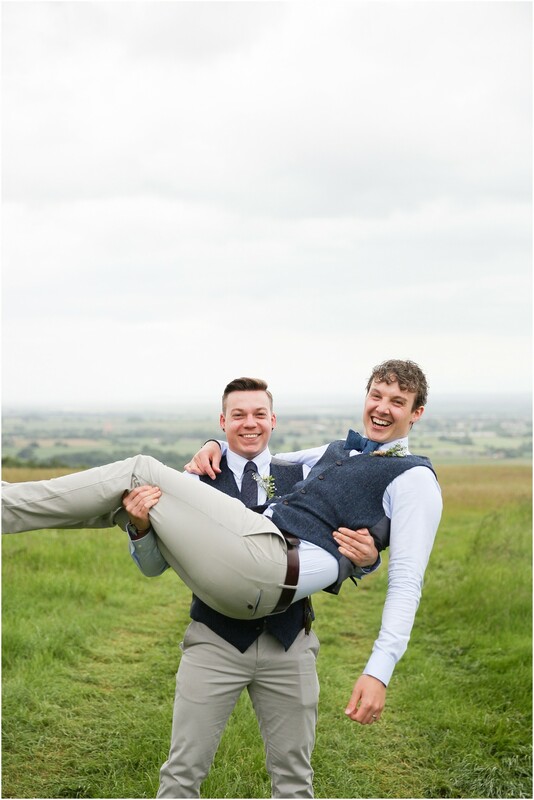 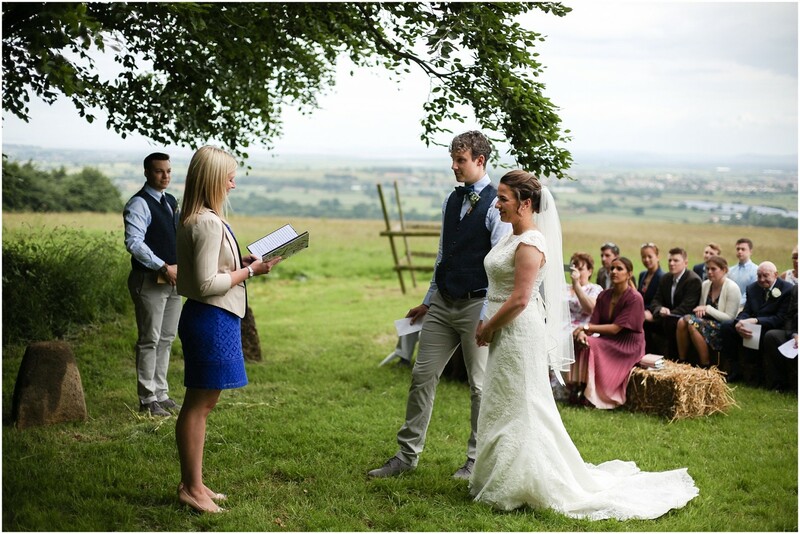 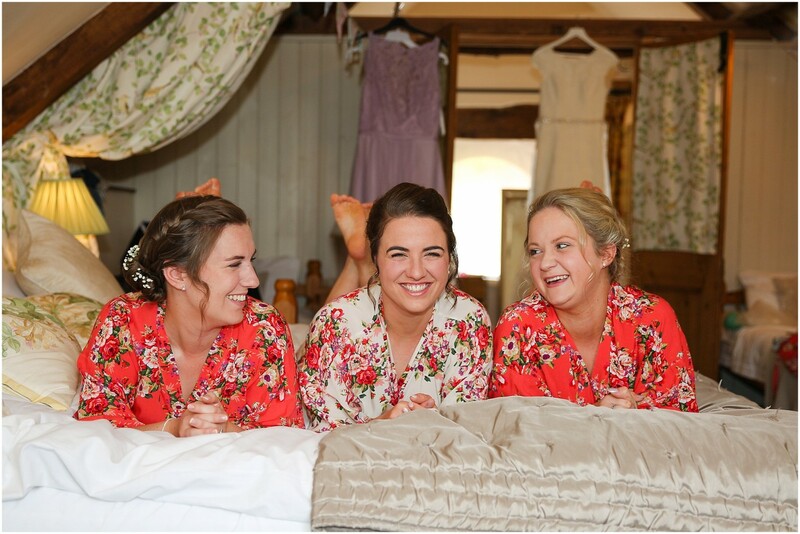 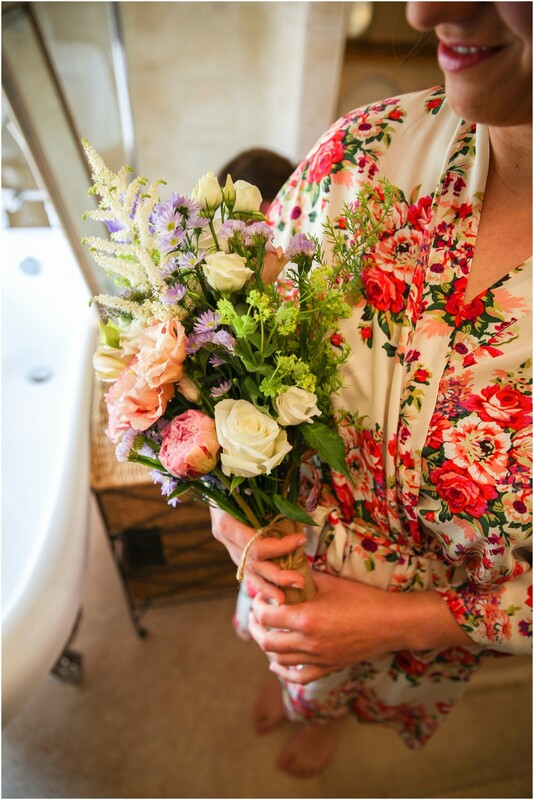 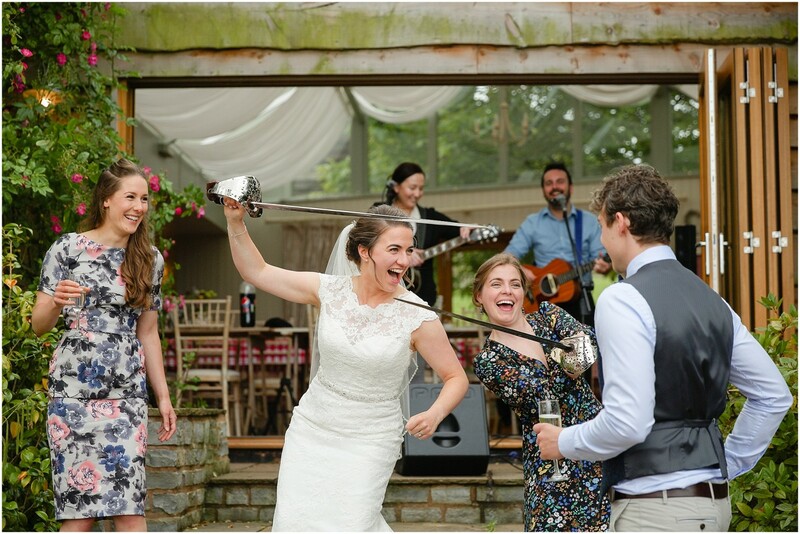 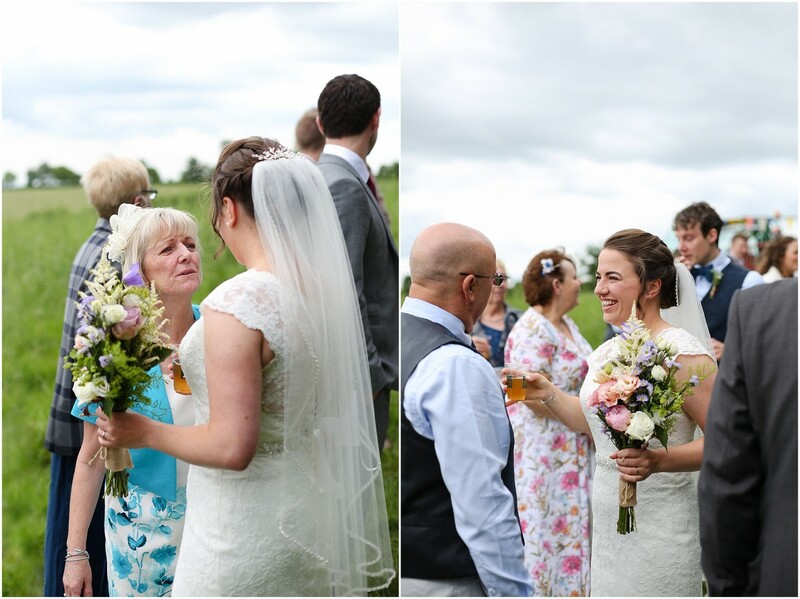 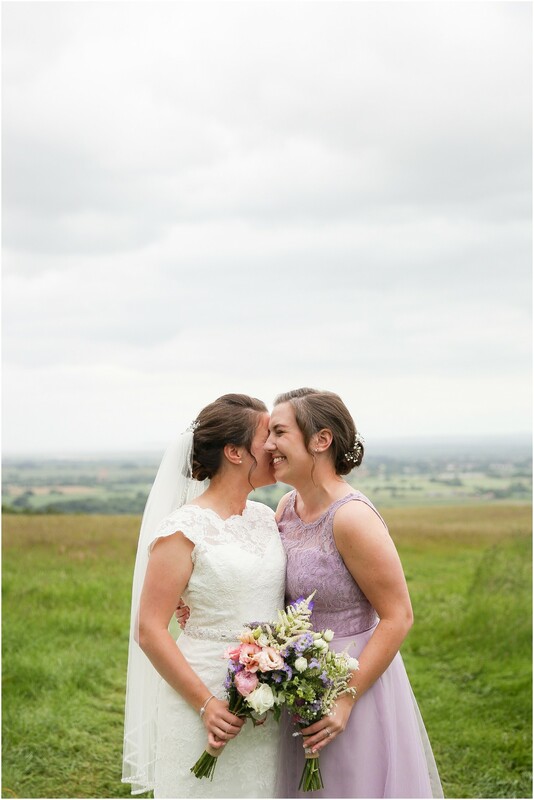 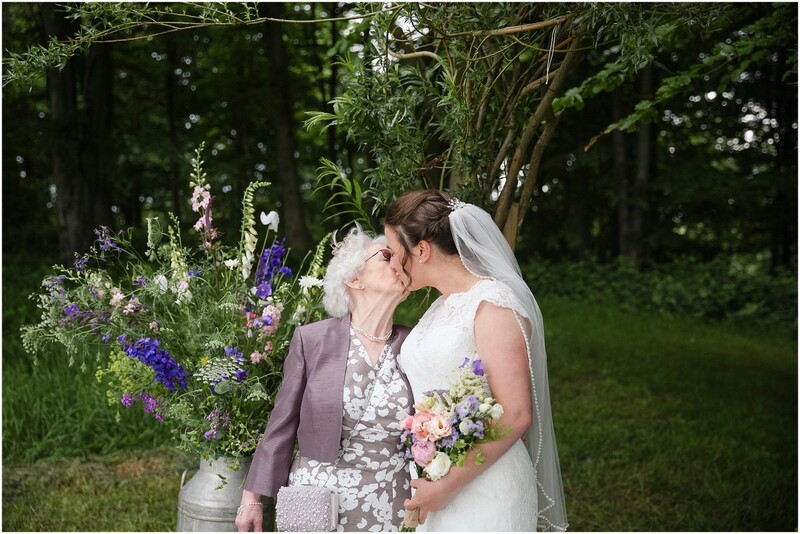 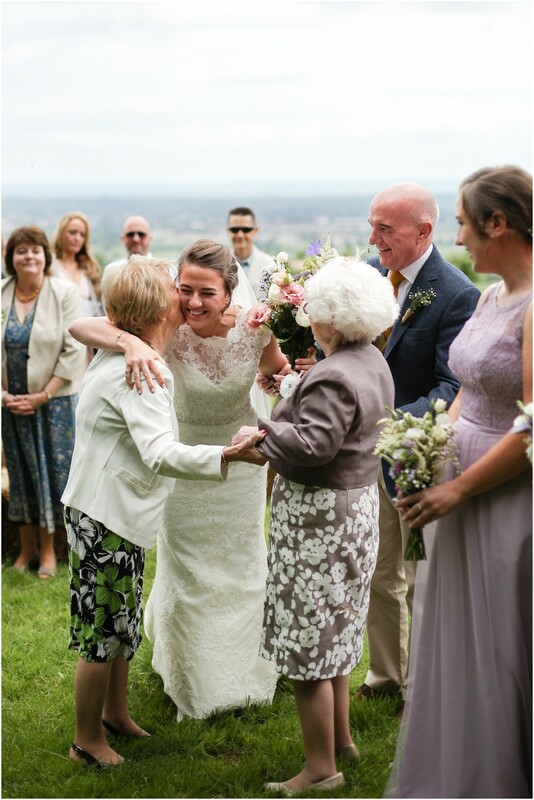 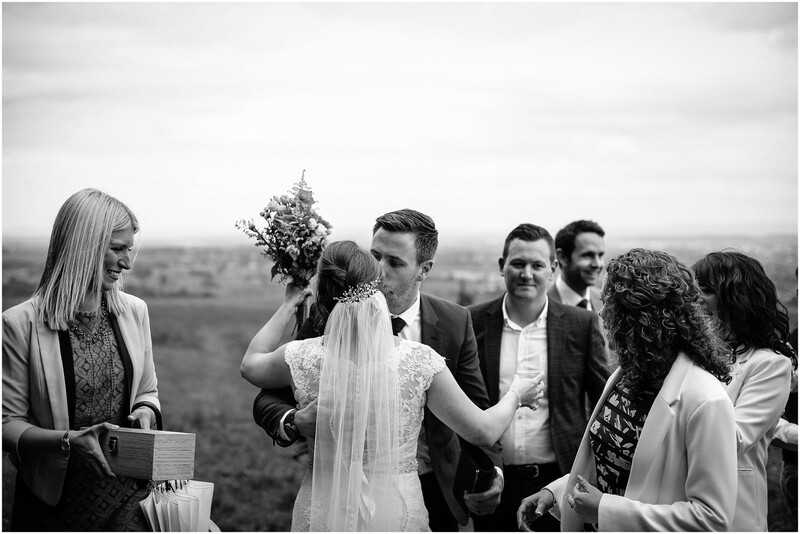 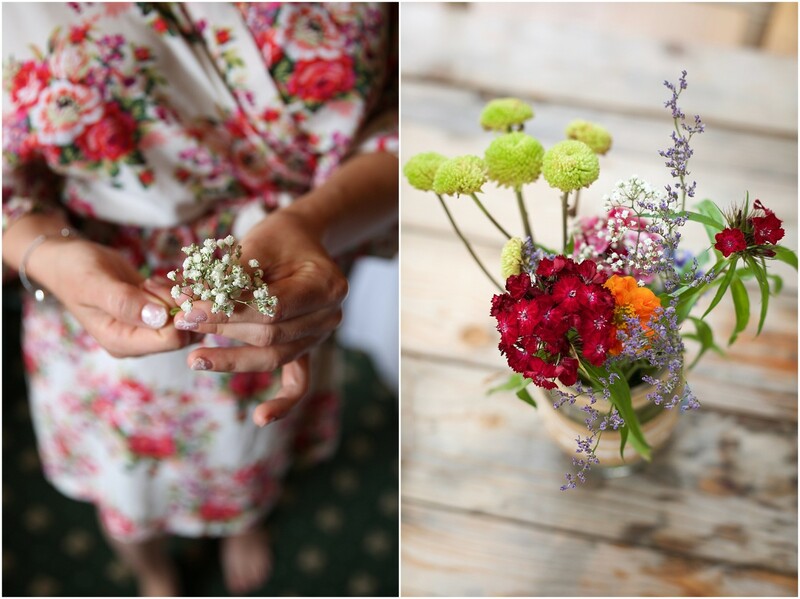 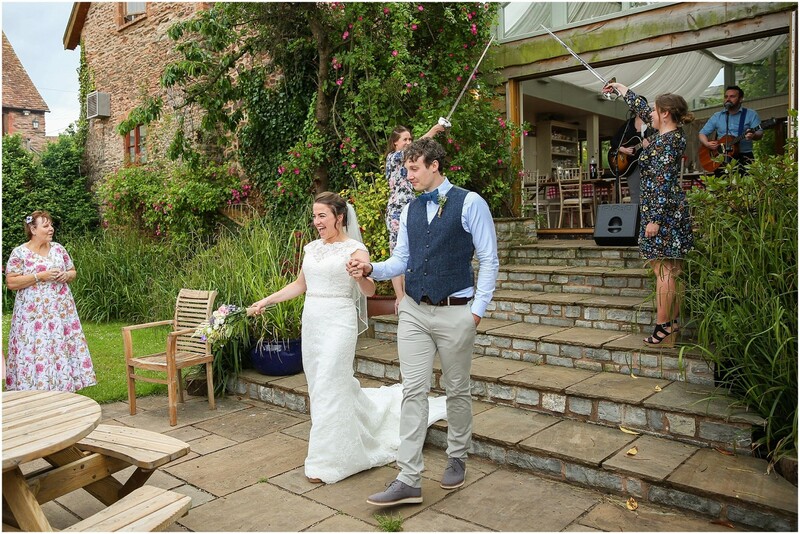 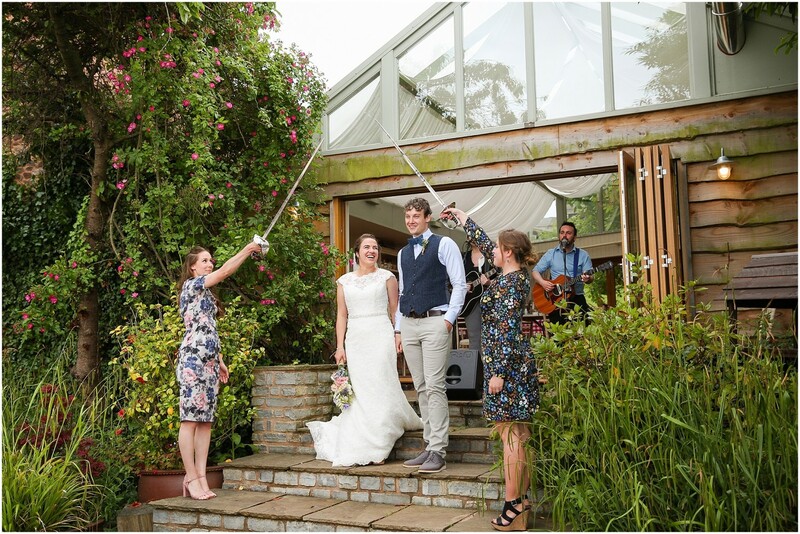 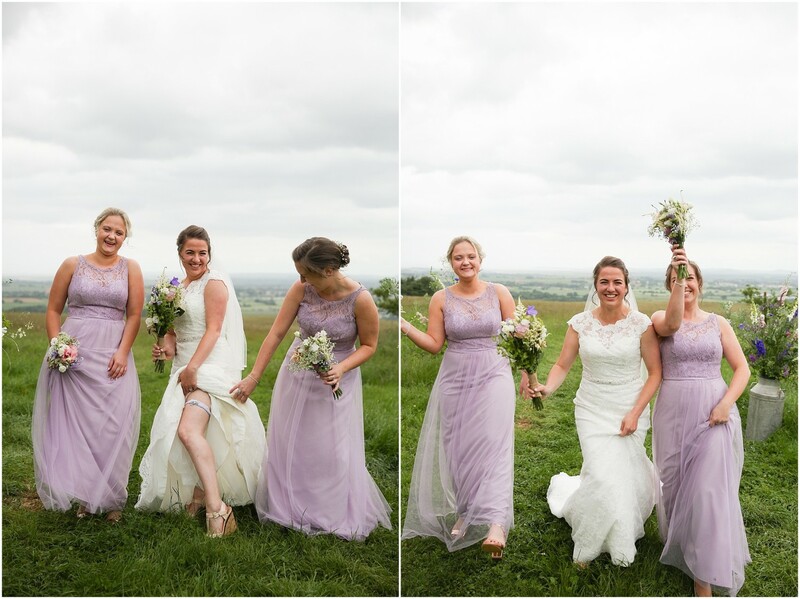 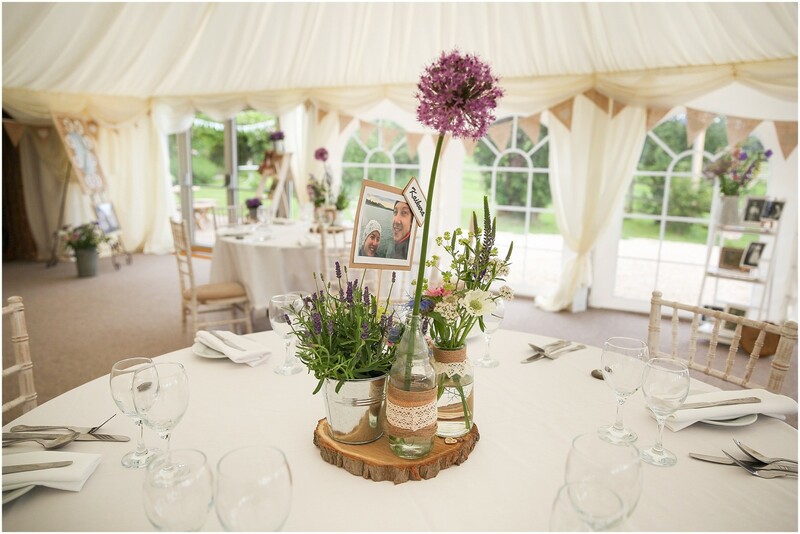 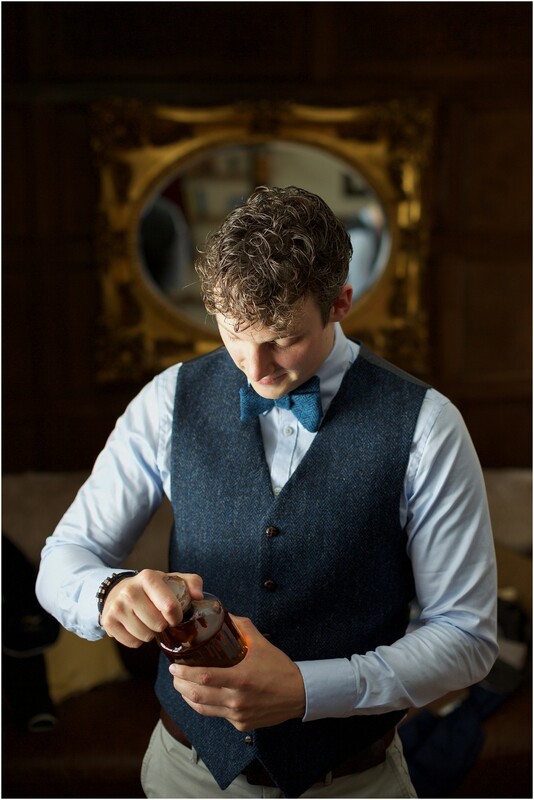 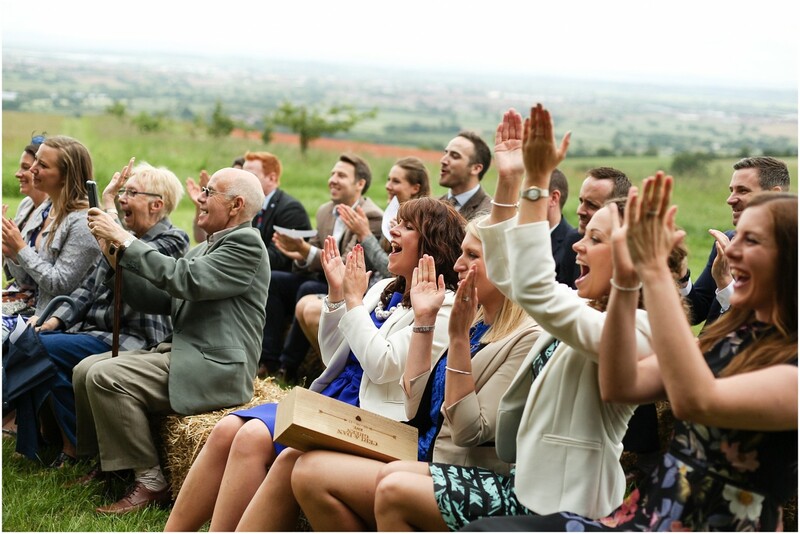 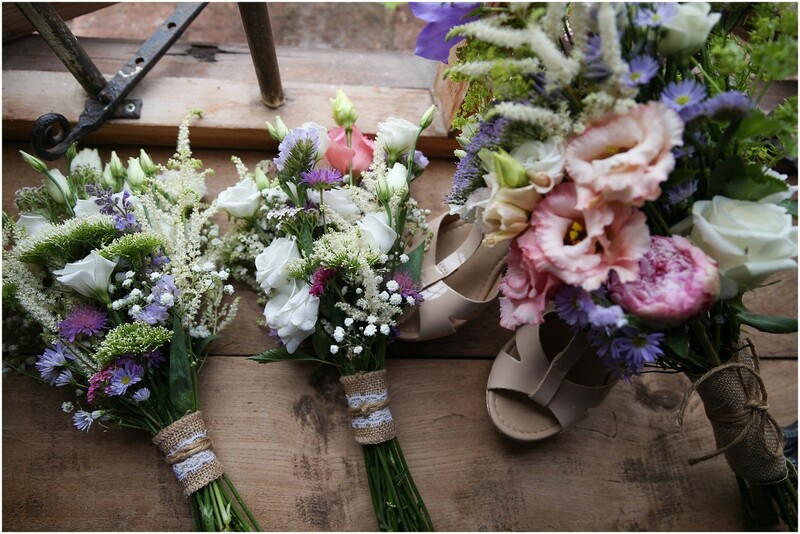 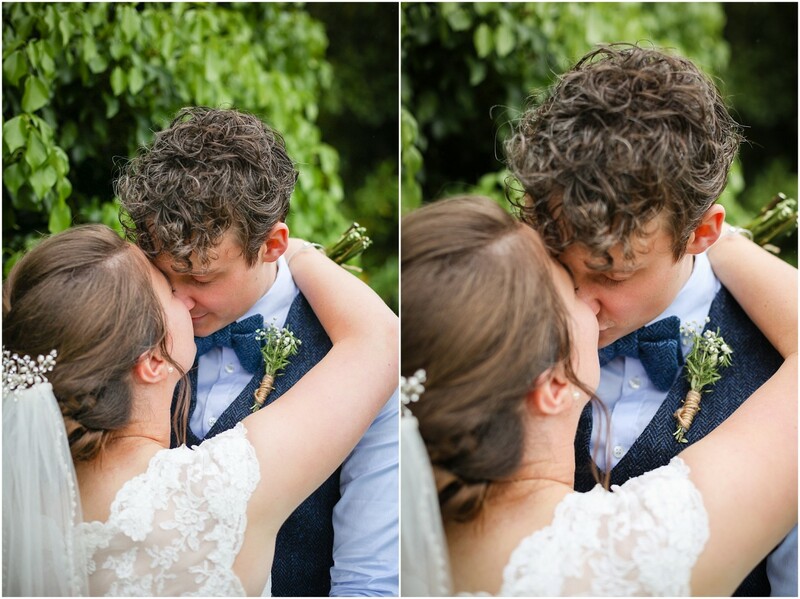 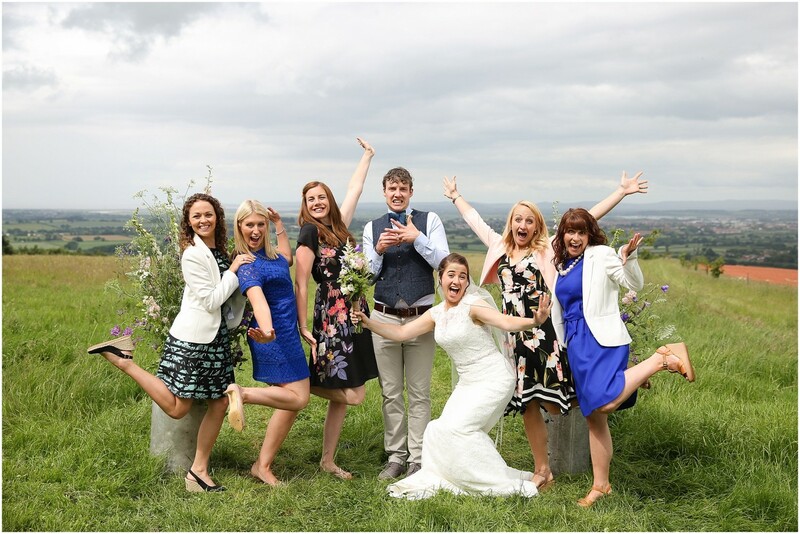 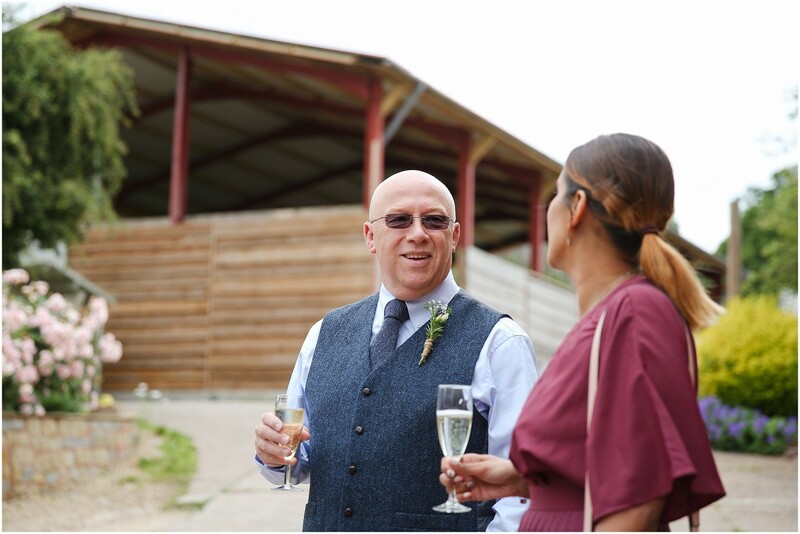 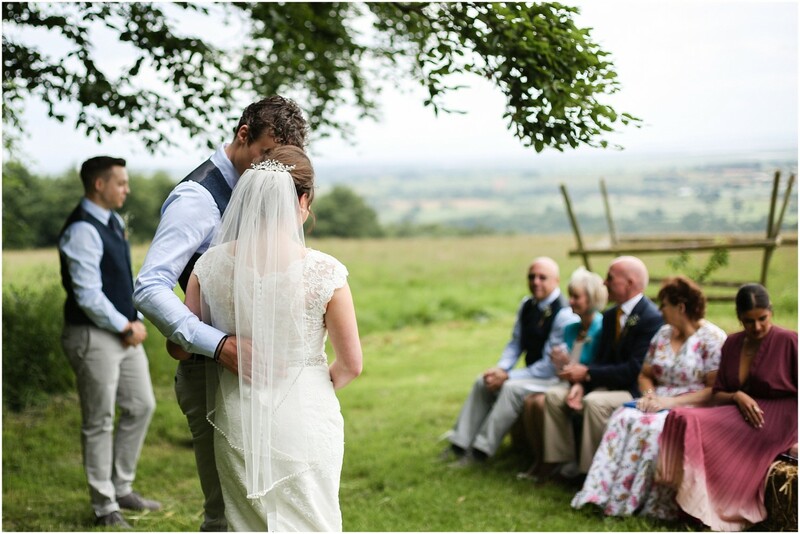 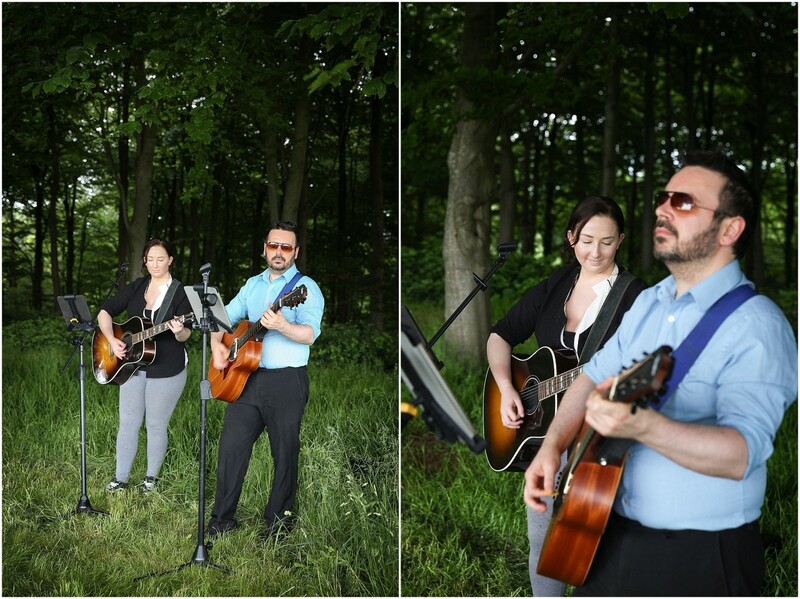 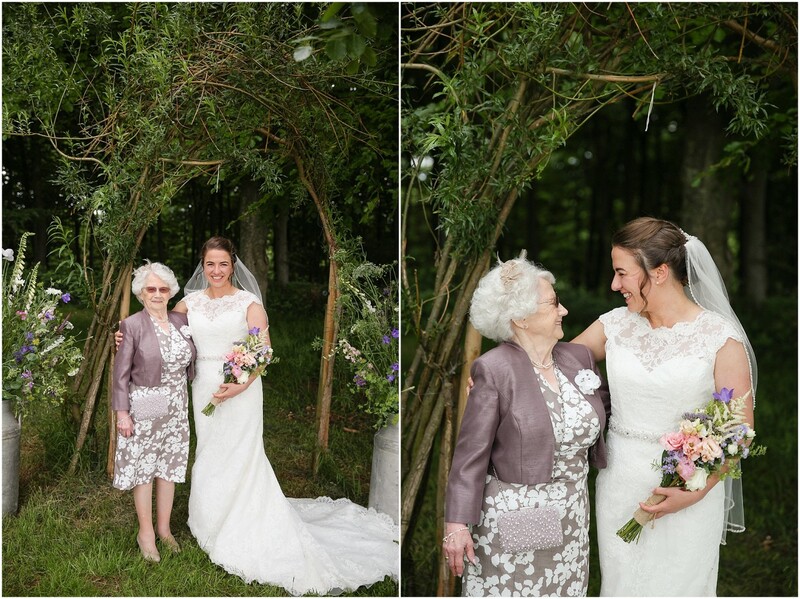 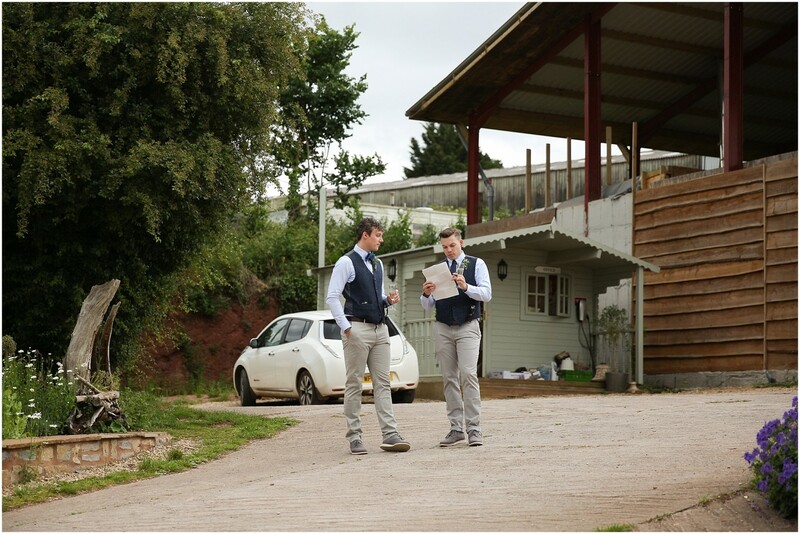 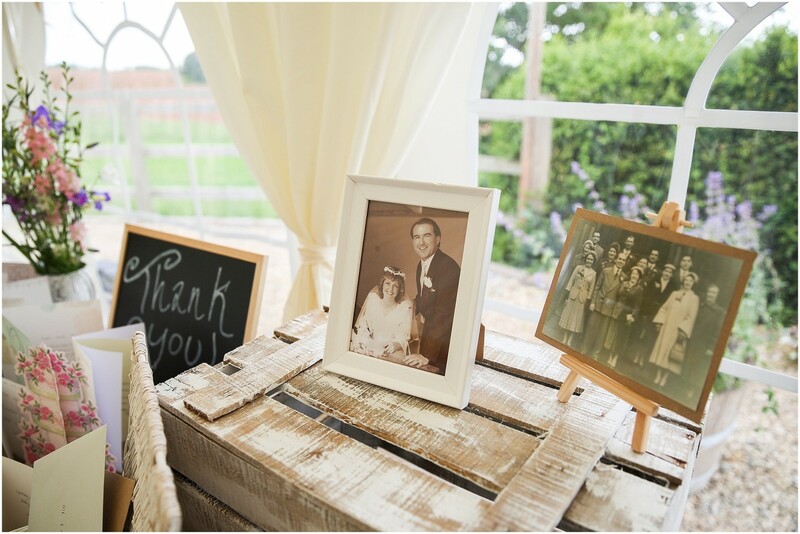 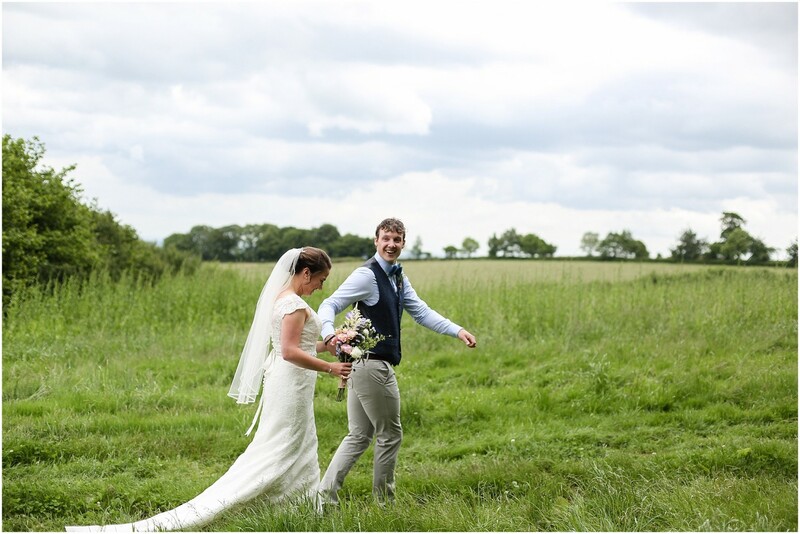 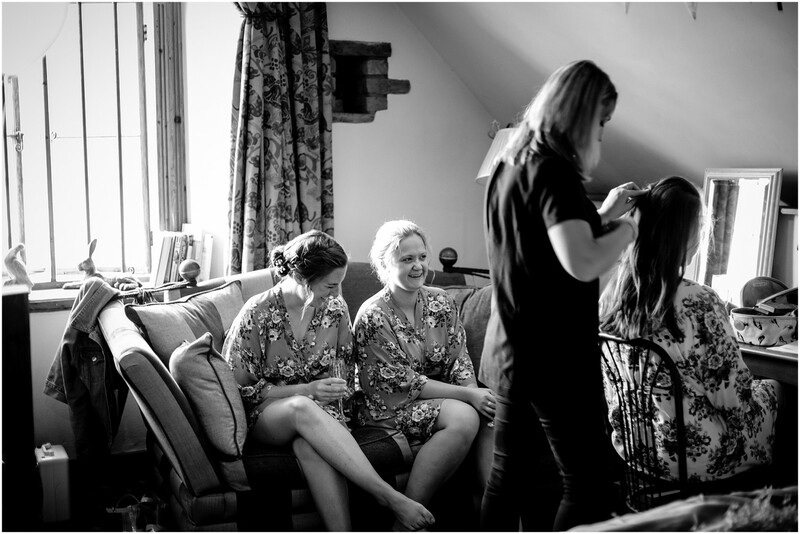 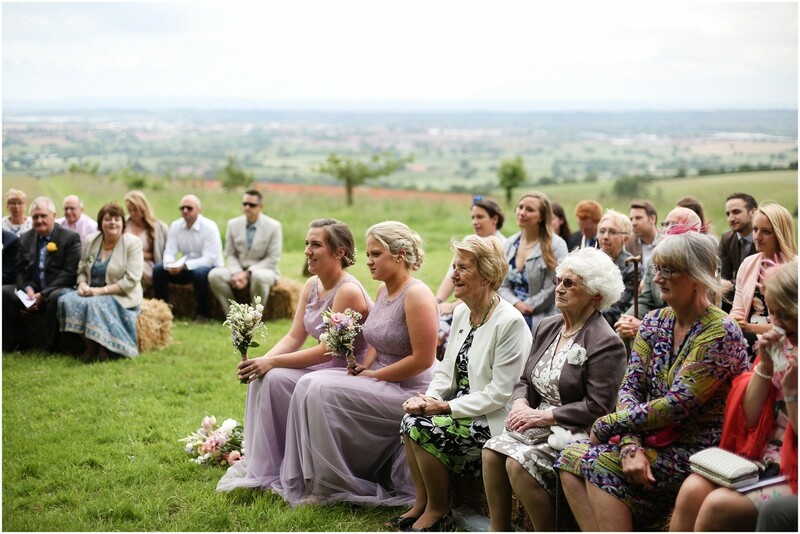 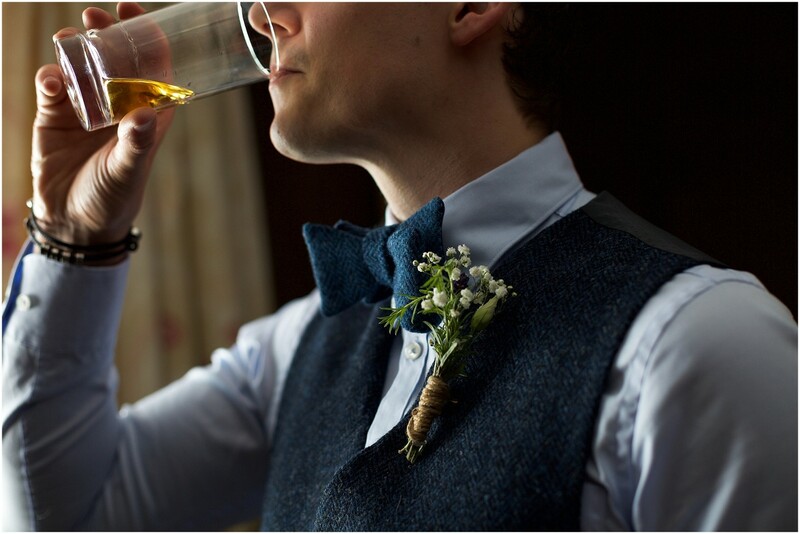 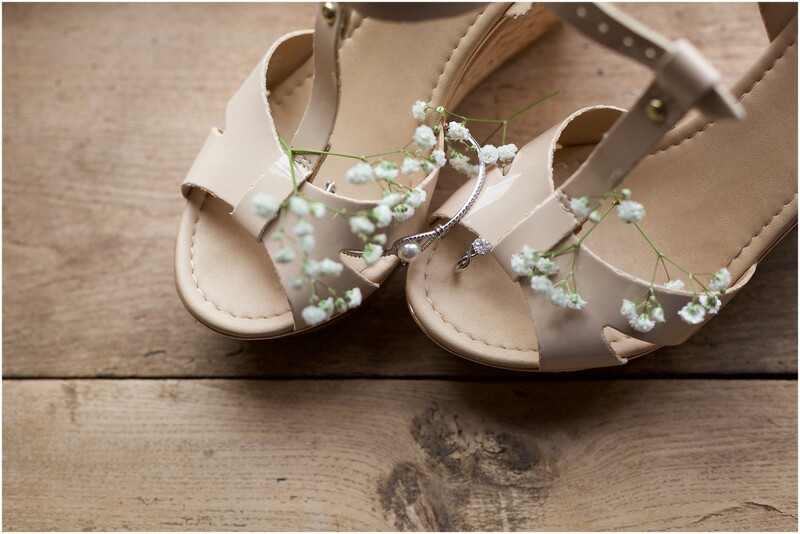 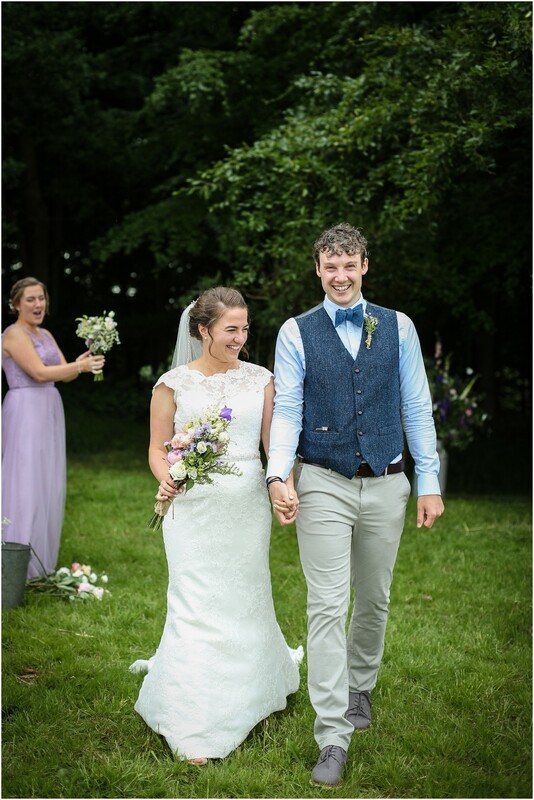 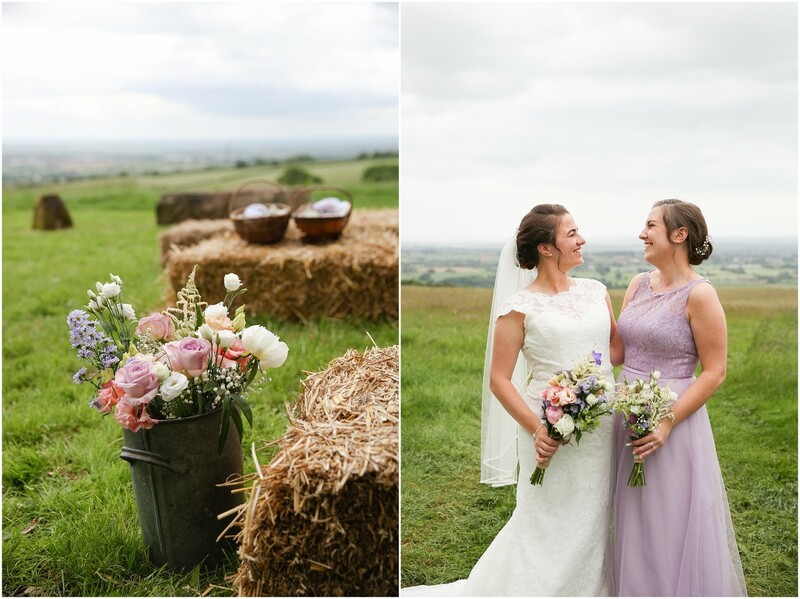 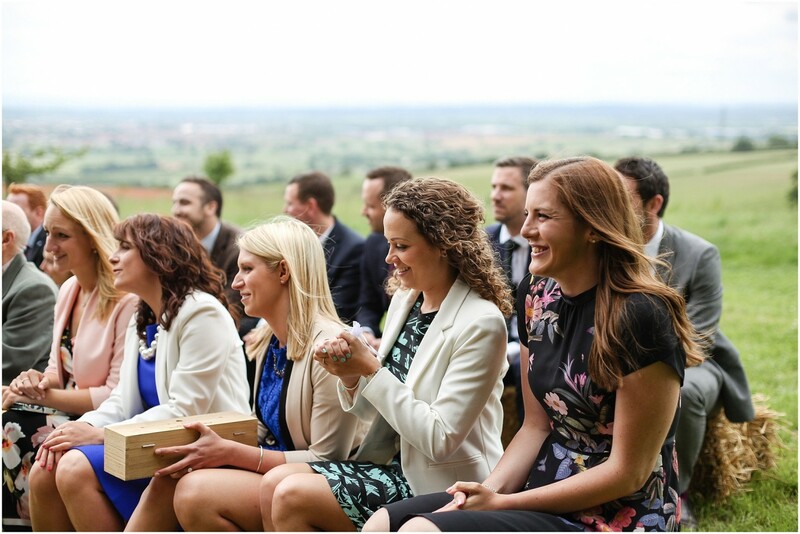 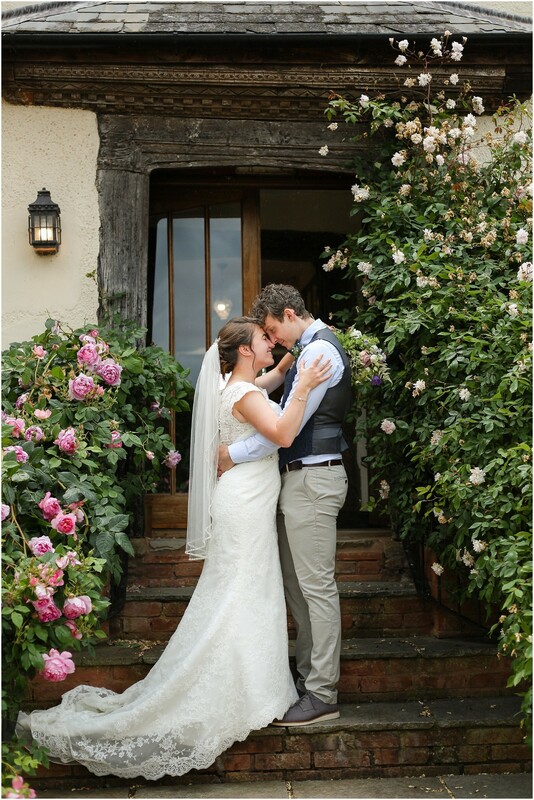 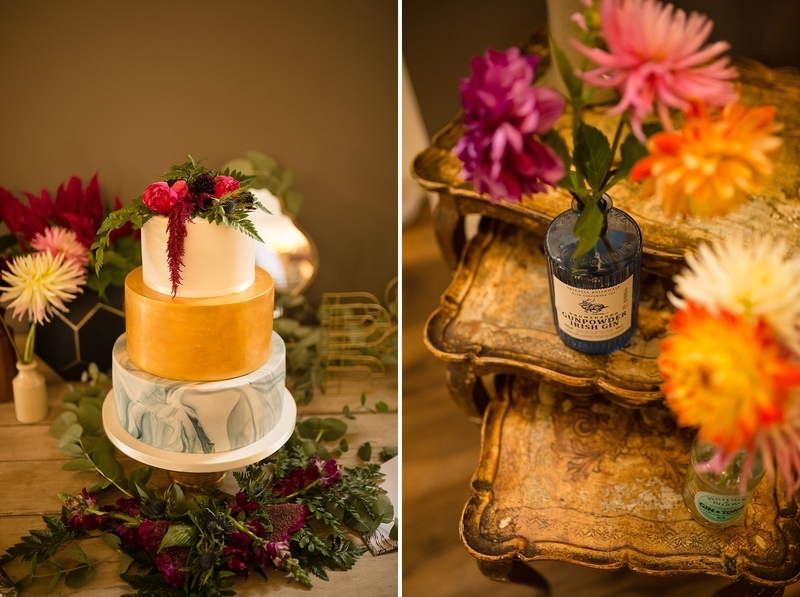 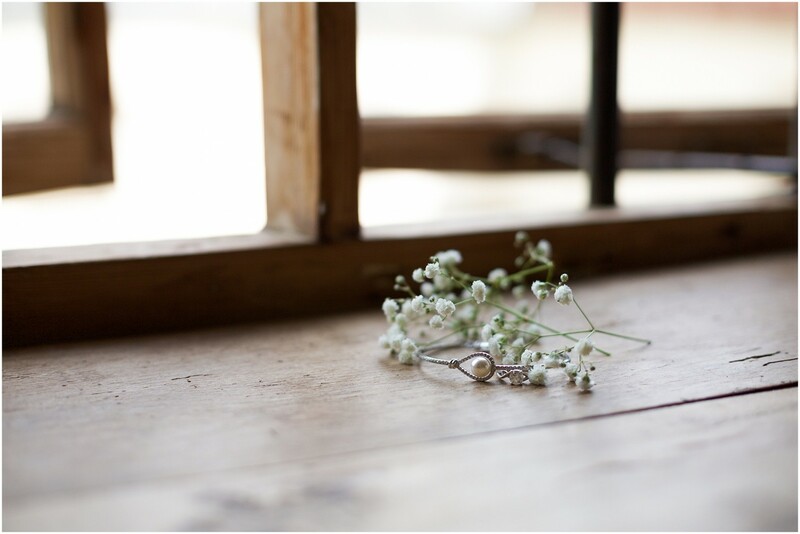 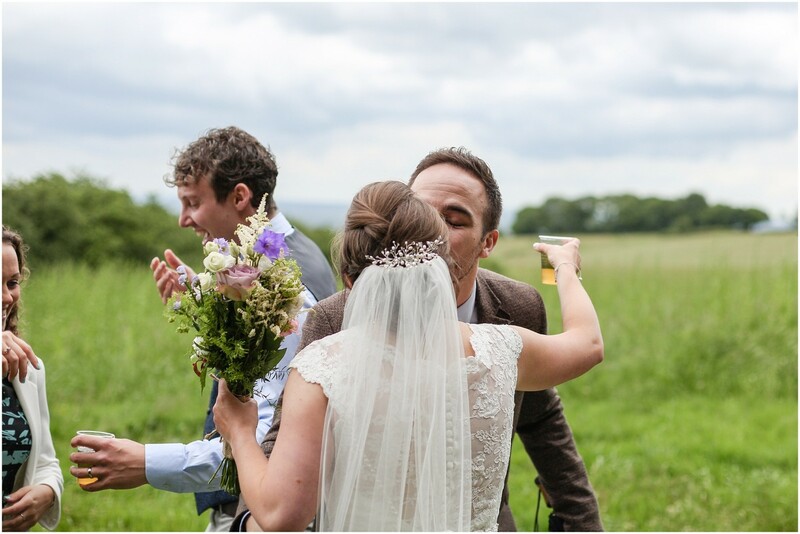 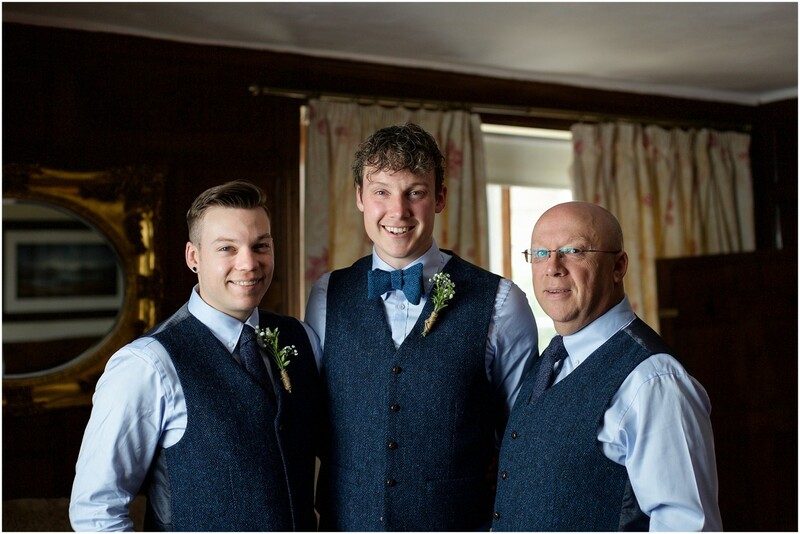 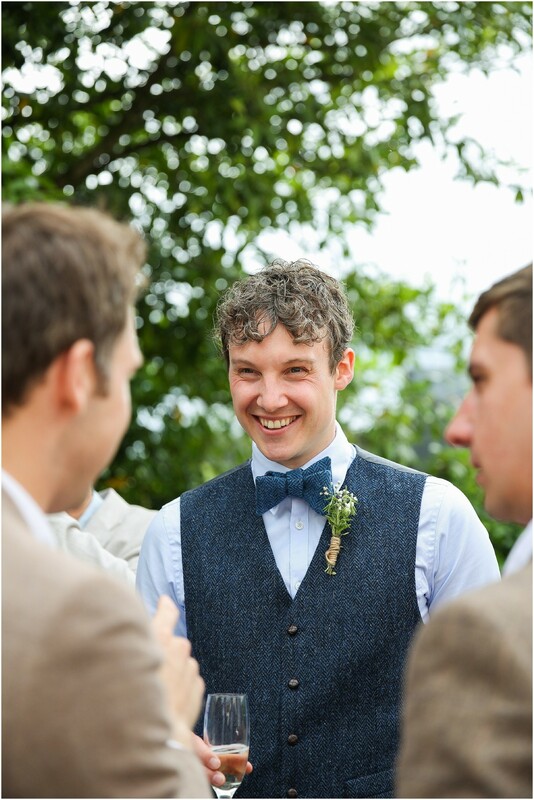 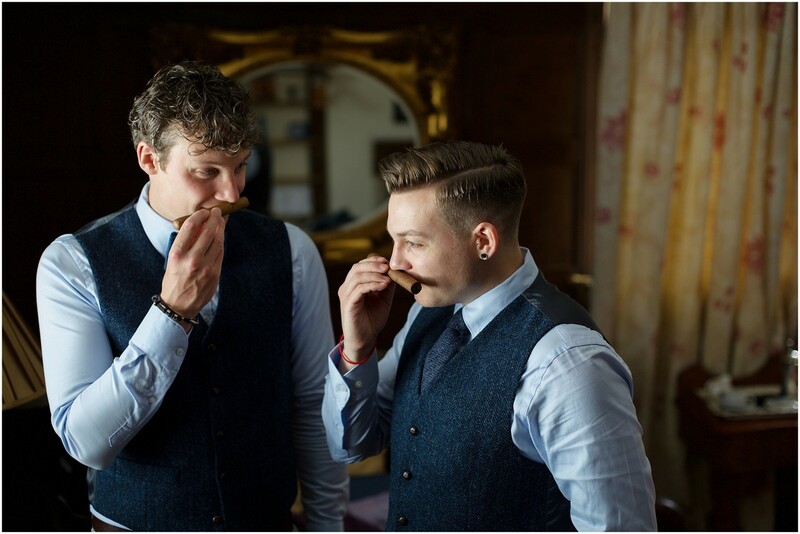 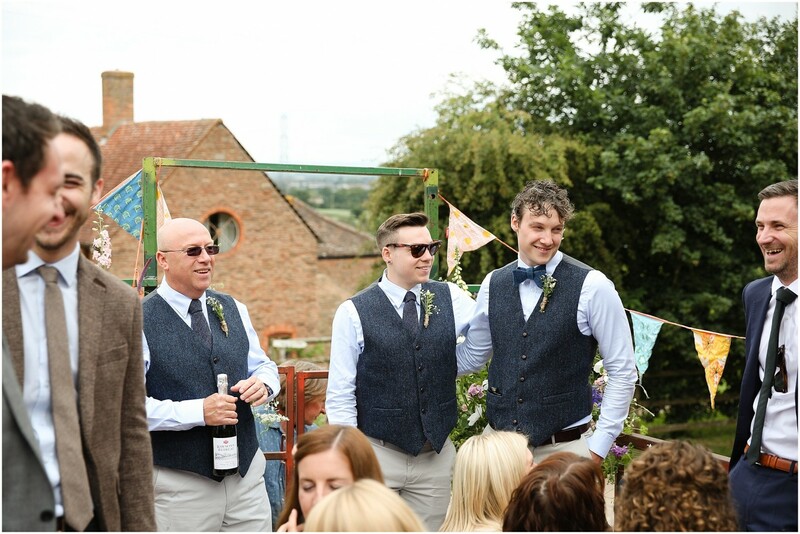 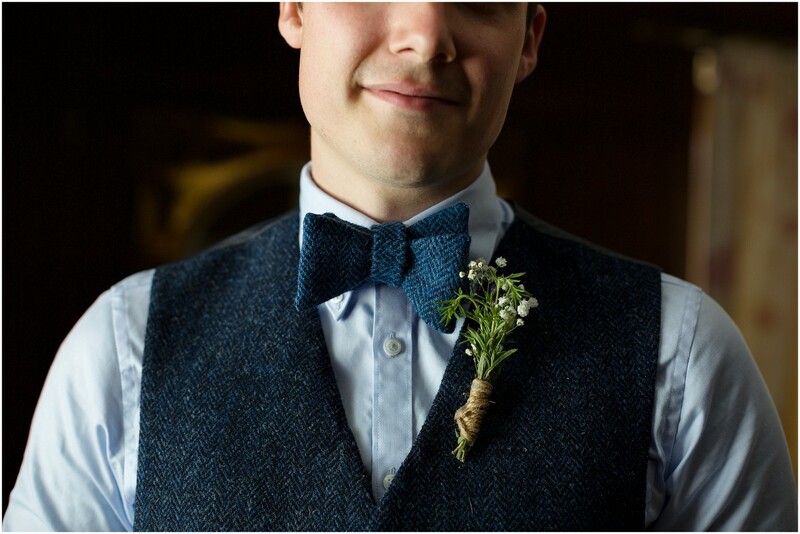 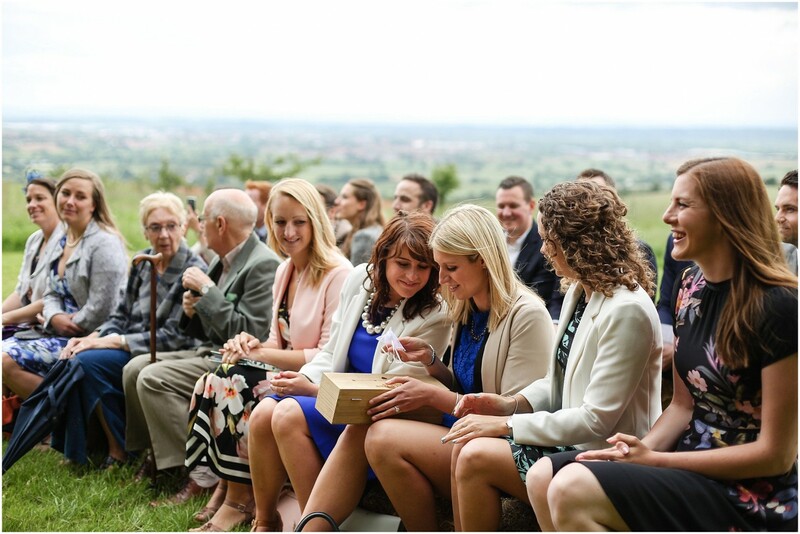 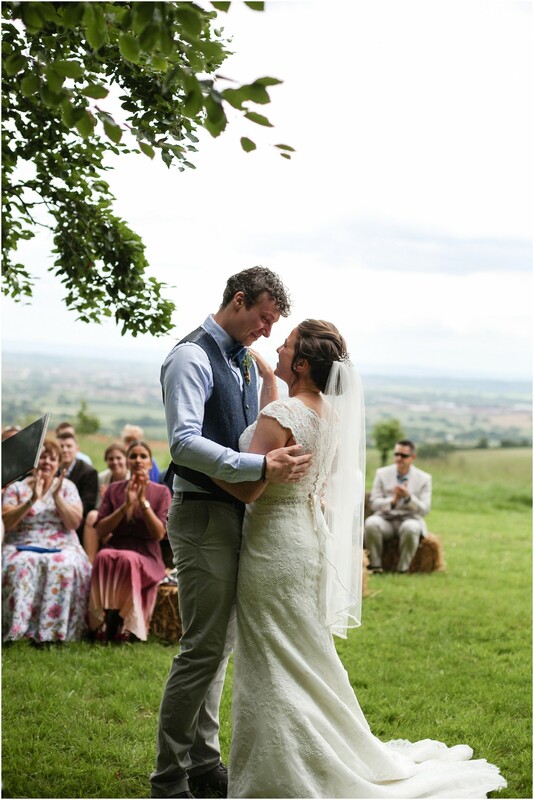 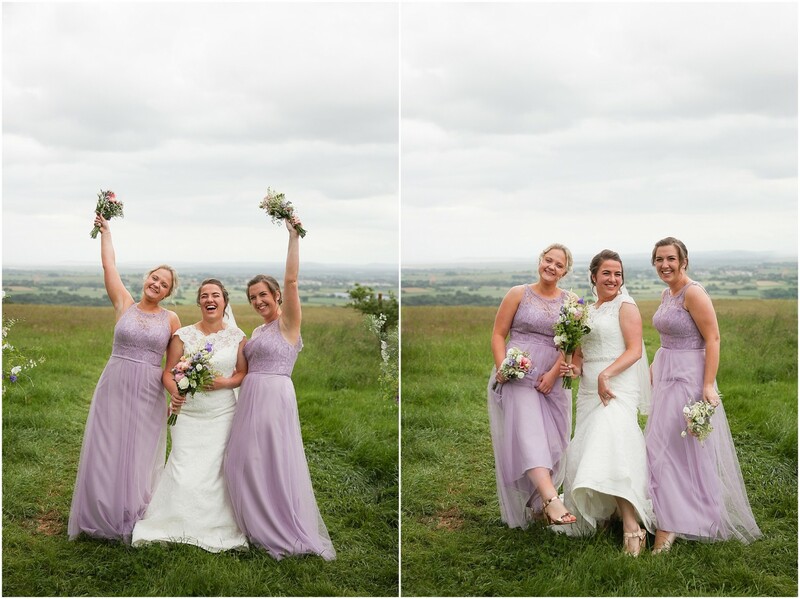 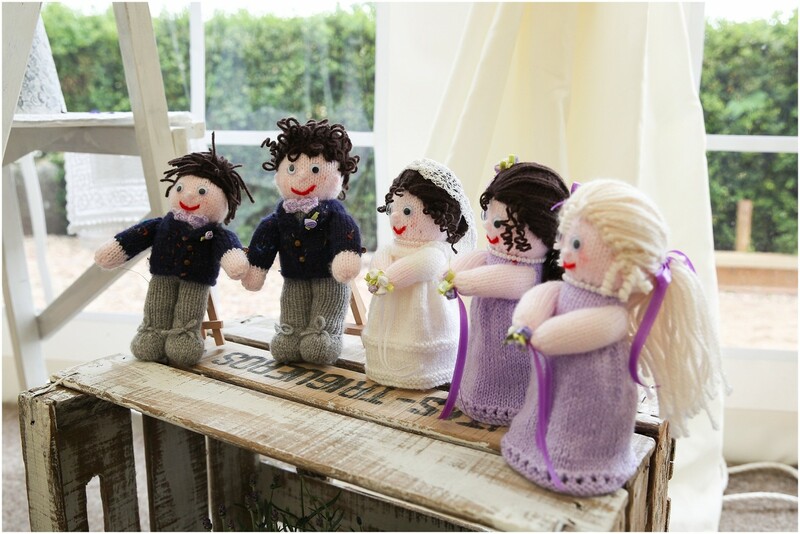 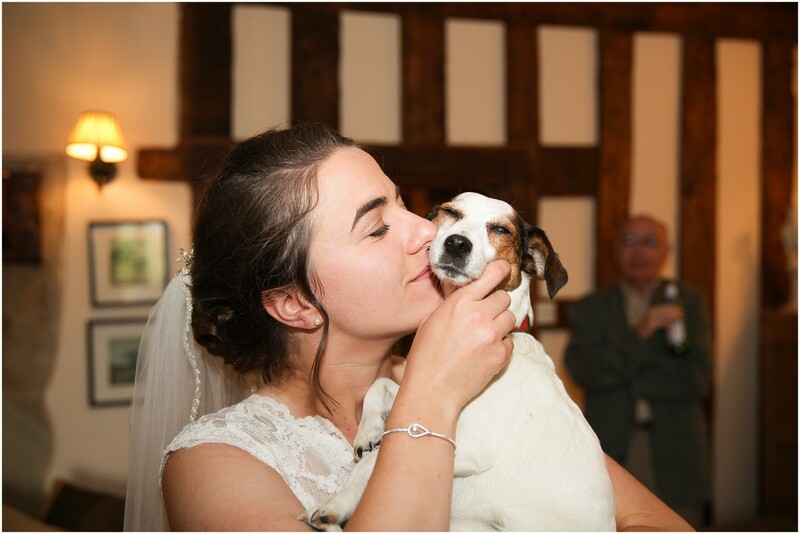 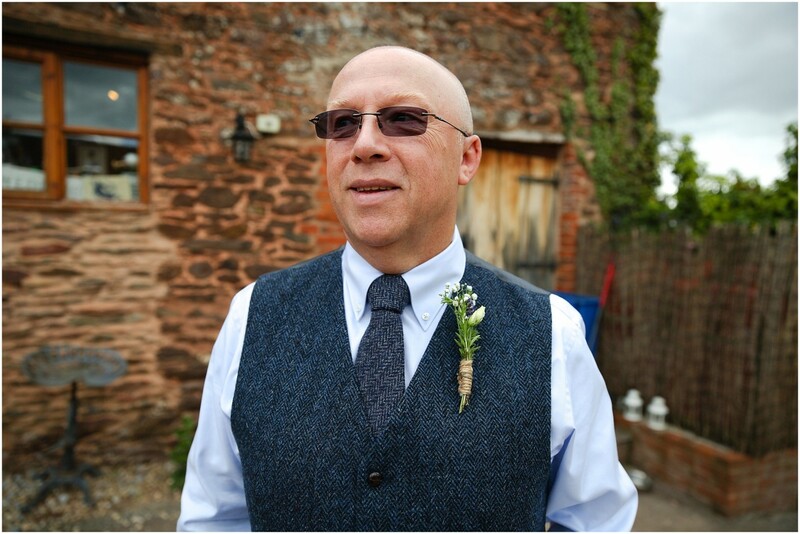 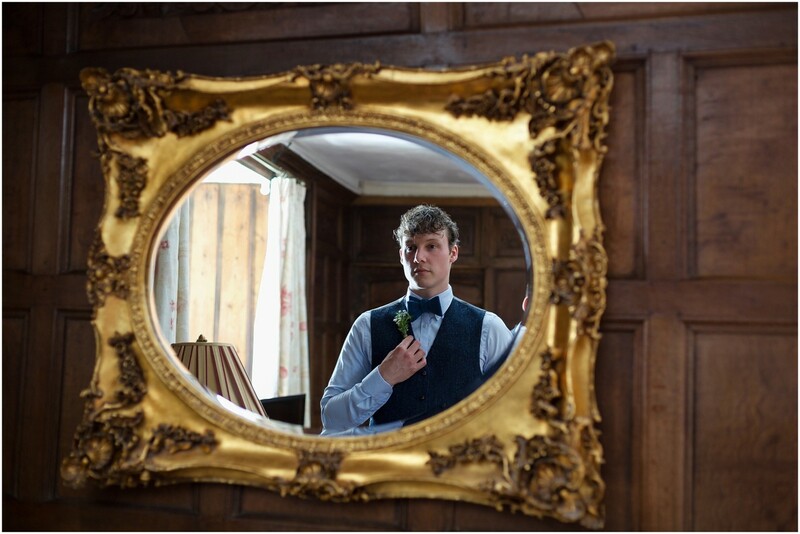 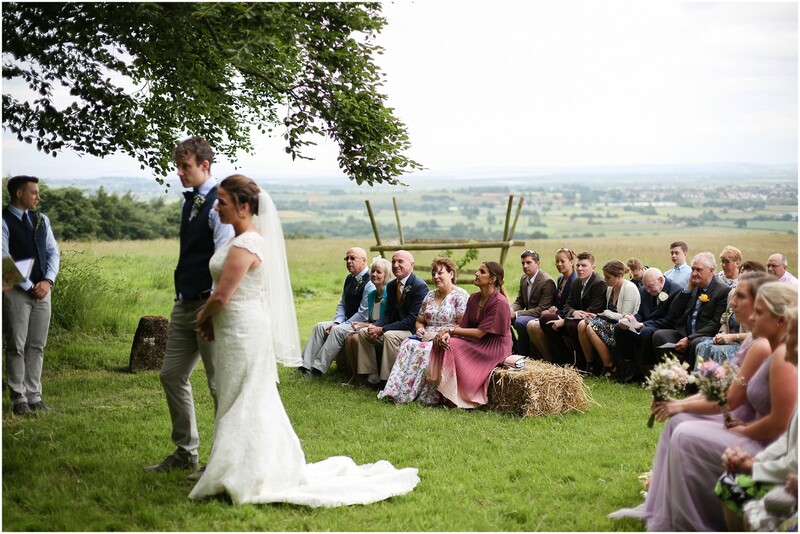 Their rustic wedding at Hunstile Organic Farm fit them perfectly. 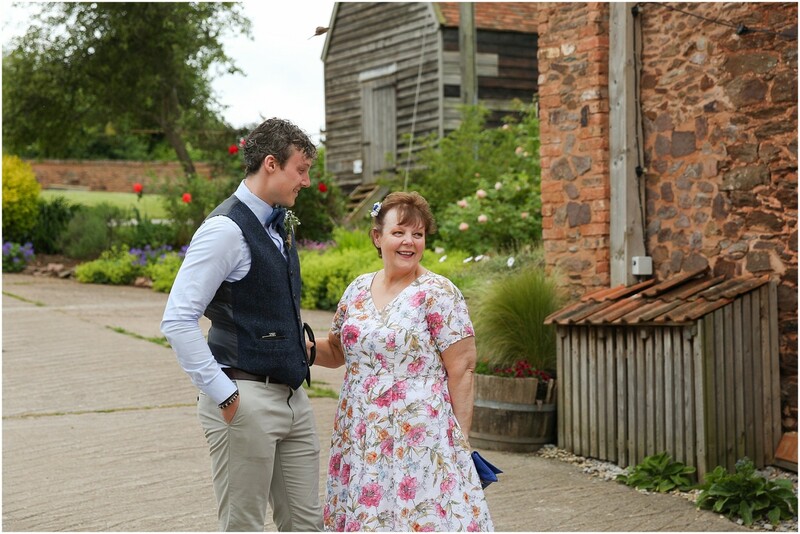 The family run, 15th century farm house had character around every corner. 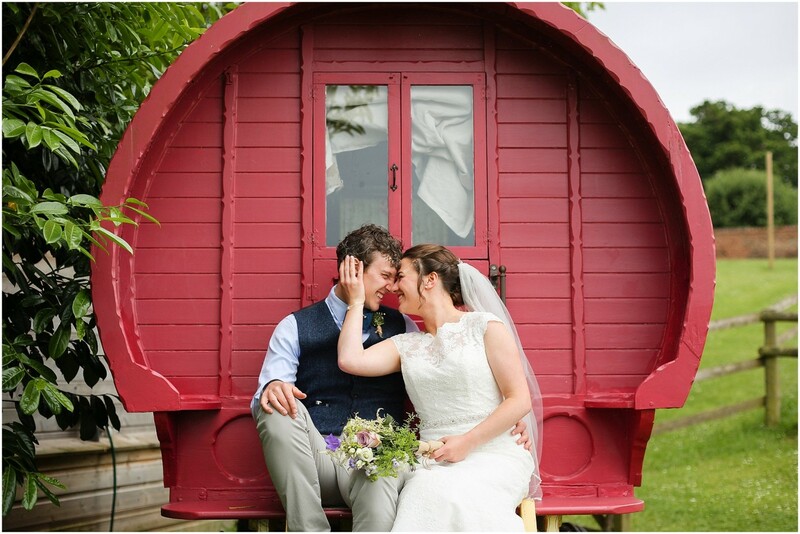 They provided accommodation in pretty little huts and gypsy caravans. 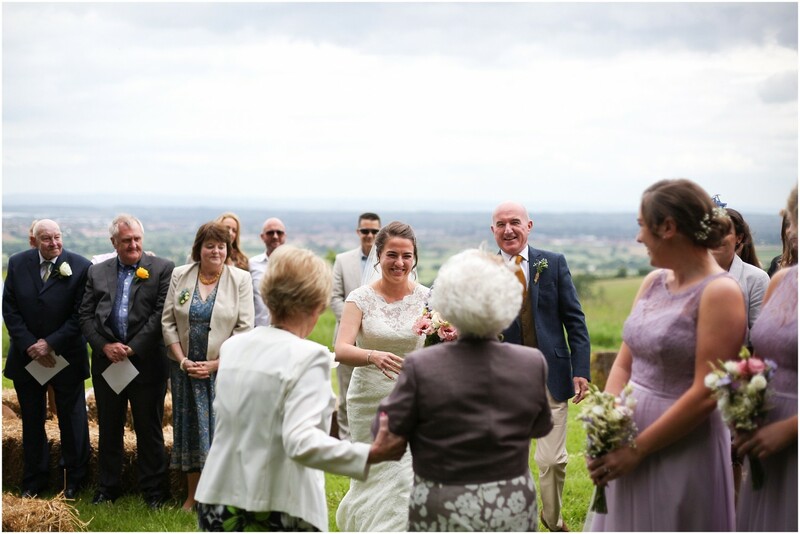 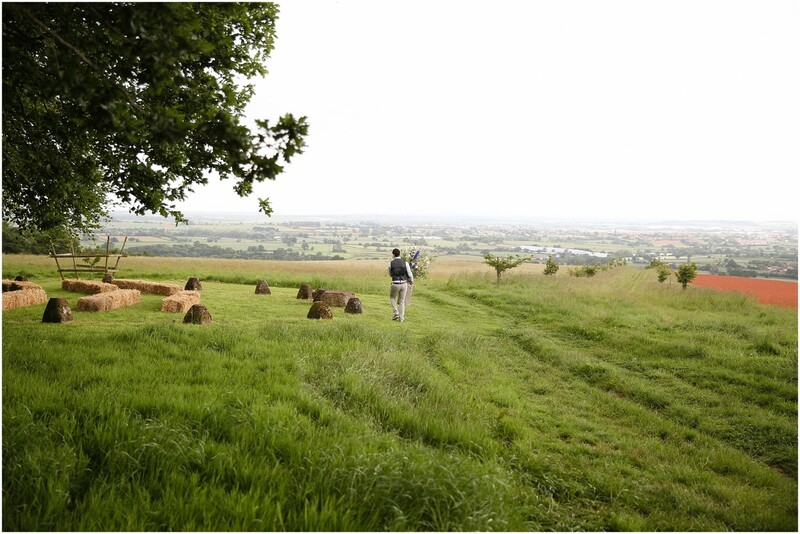 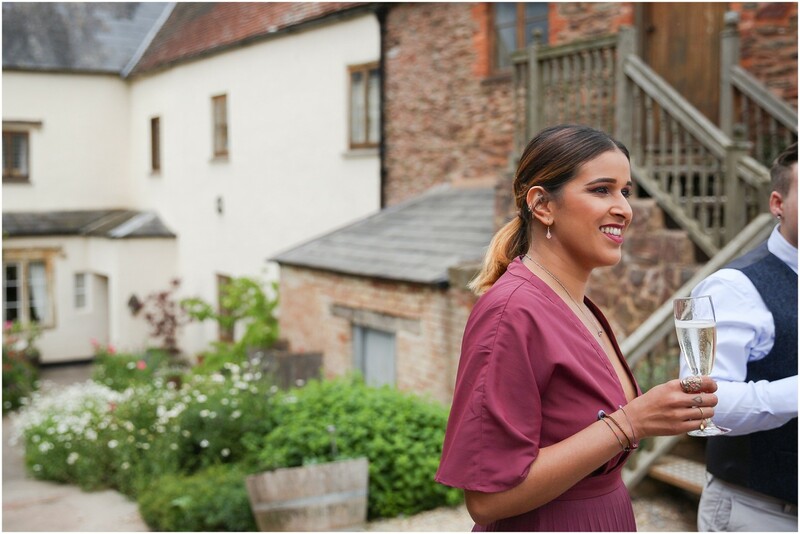 The views overlooking Somerset rolling hills were jaw dropping and truly showed off England's beauty. 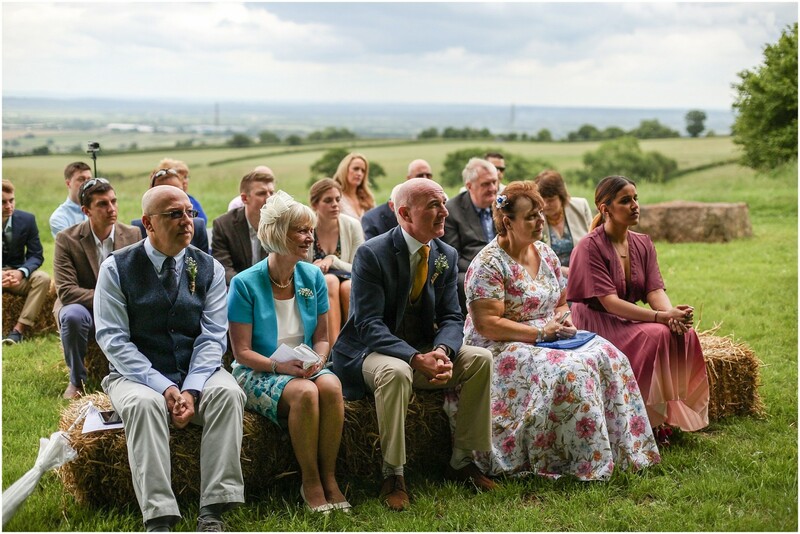 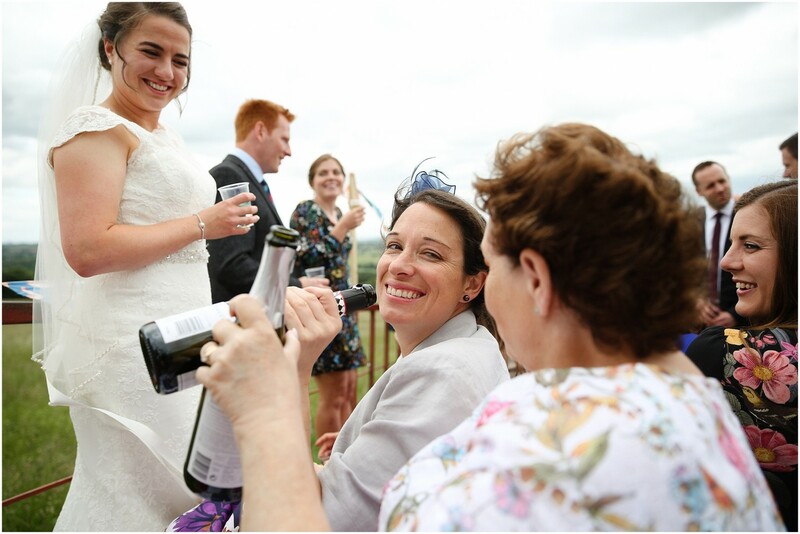 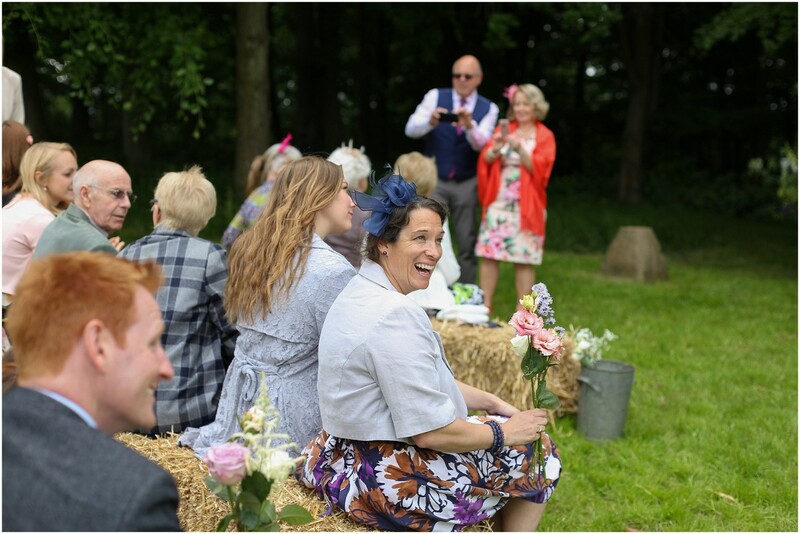 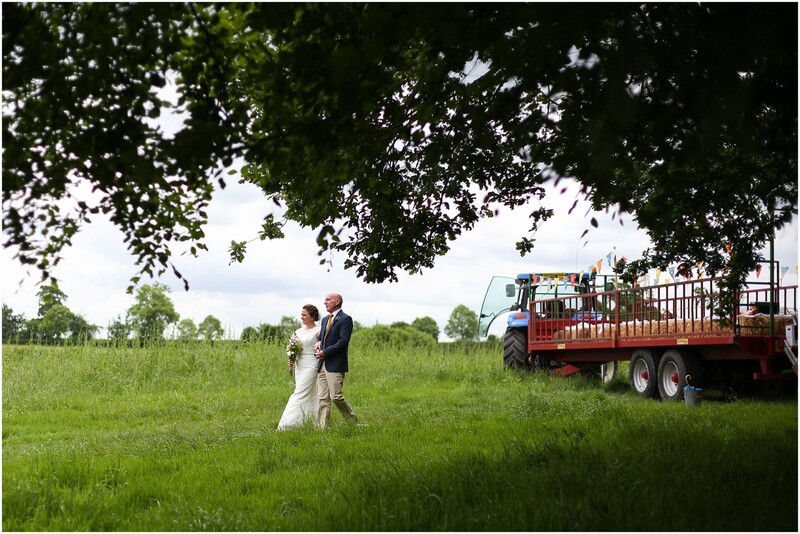 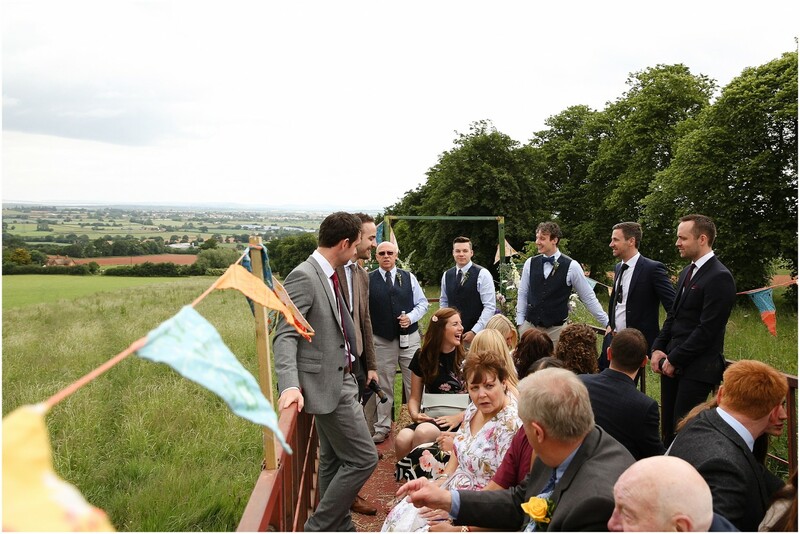 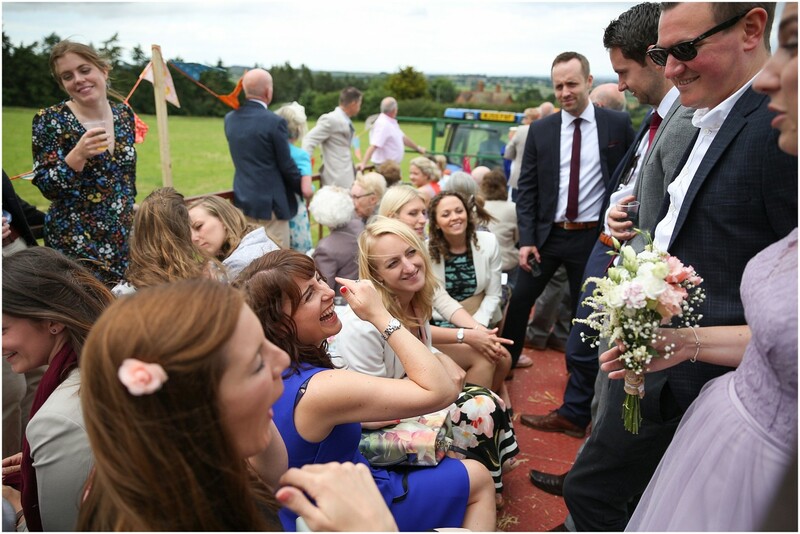 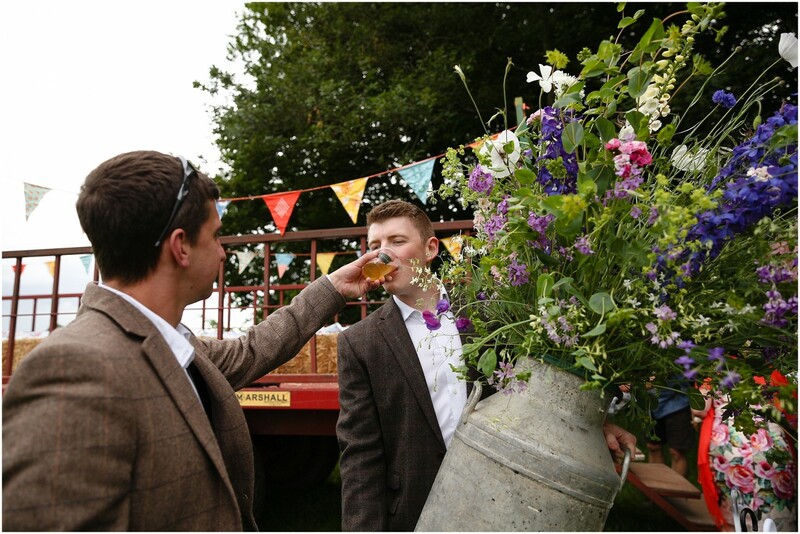 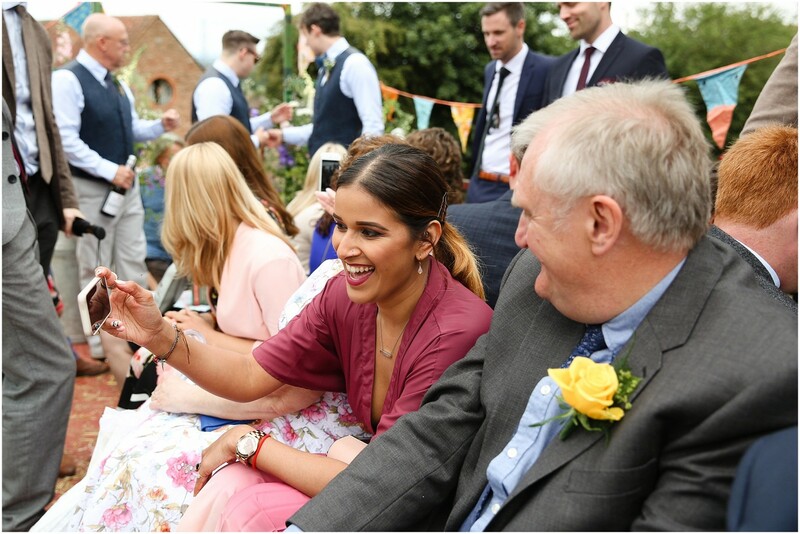 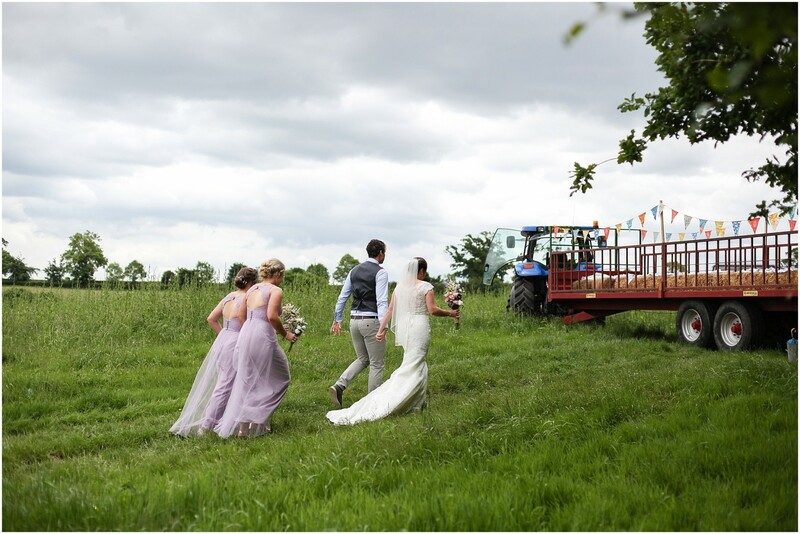 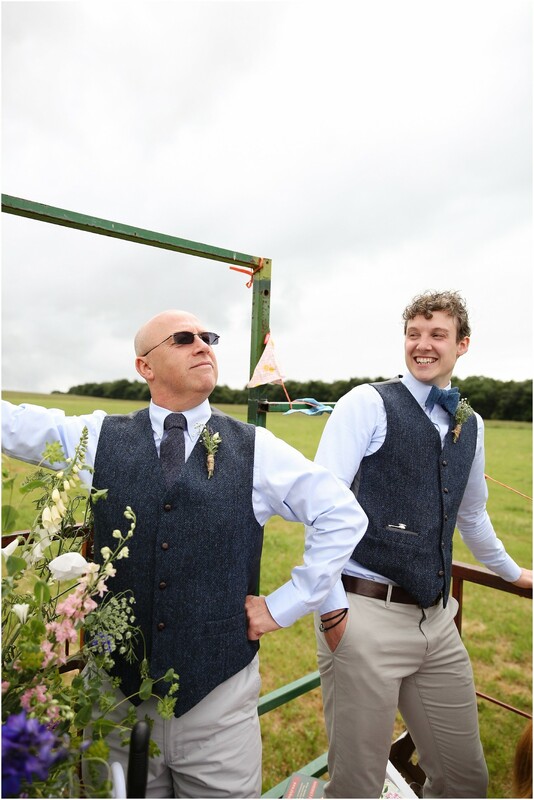 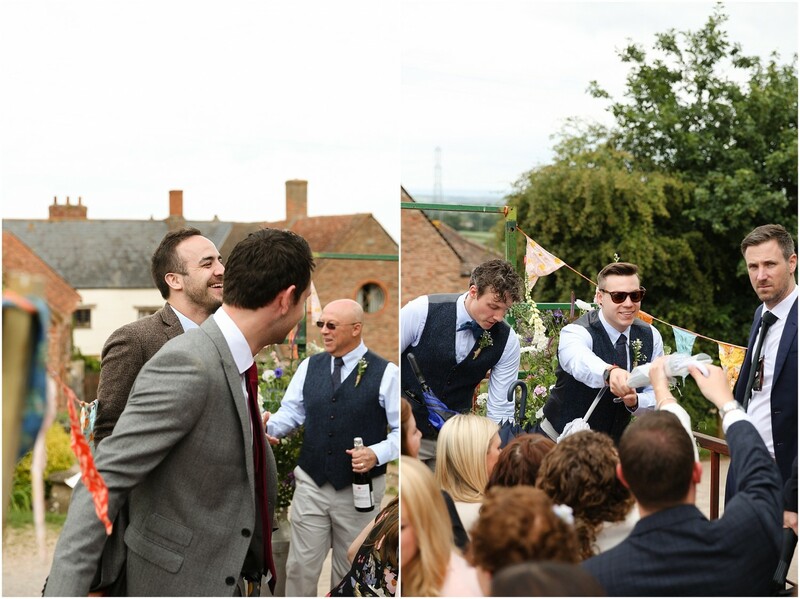 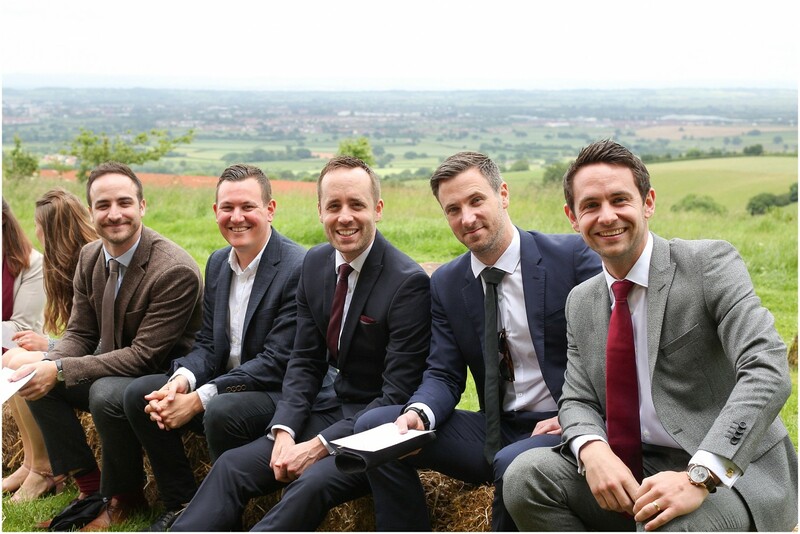 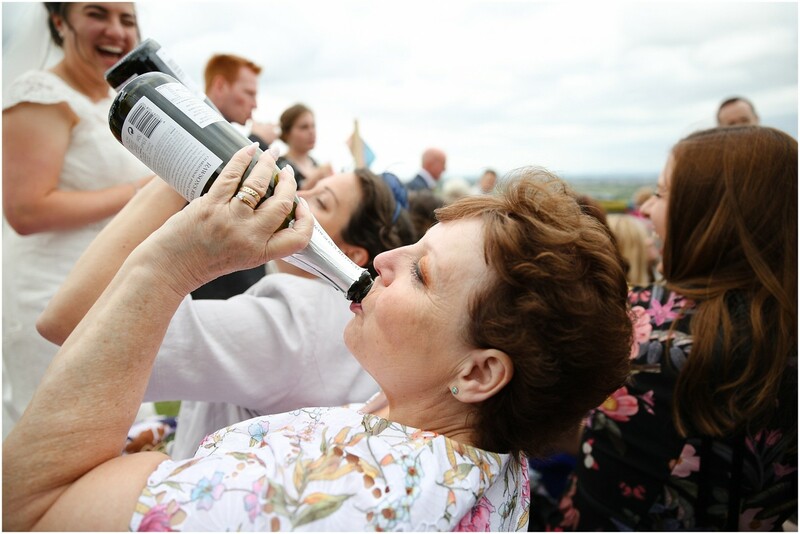 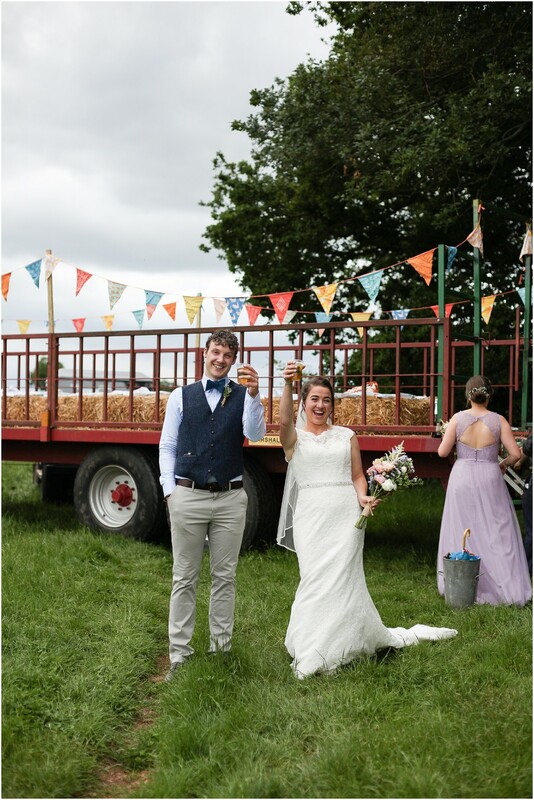 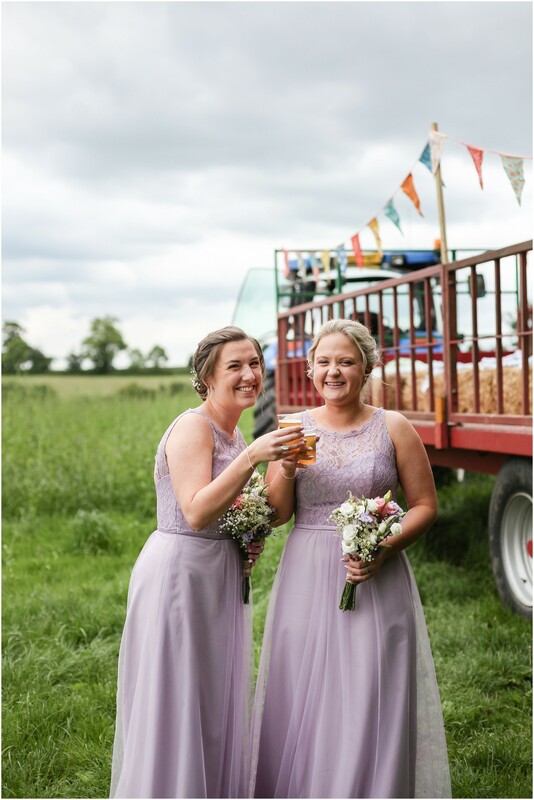 One of my favourite parts of the day was hitching a ride with the guests on a tractor supplied with a keg of Somerset Cider (of course) up the hill to where Ceri and Dan would exchange vows. 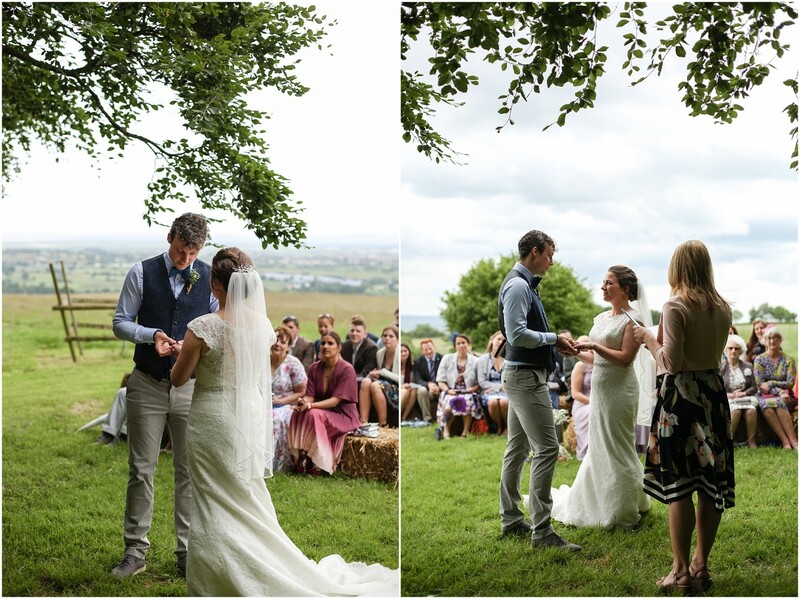 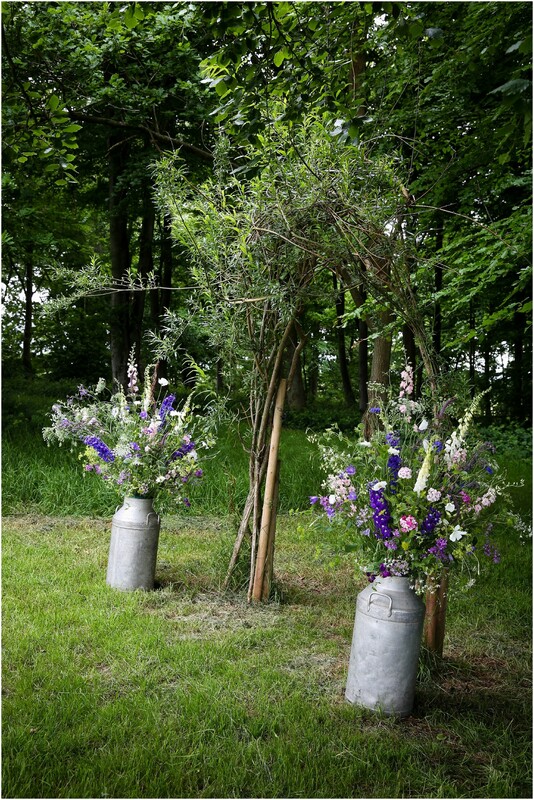 The ceremony was simple yet the nature surrounding was enough to make it absolutely perfect...No chandeliers necessary! 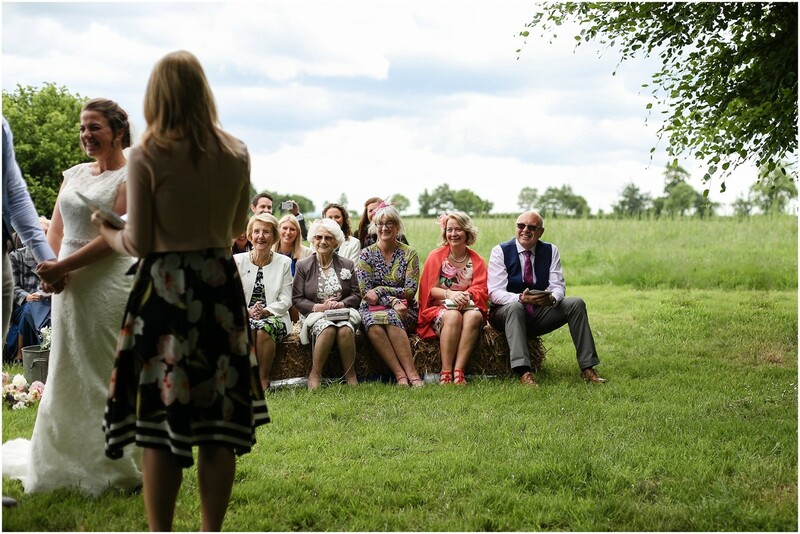 It followed with the reception with music played by 'The distance', a special guard of honour ritual, champagne and canapé's. 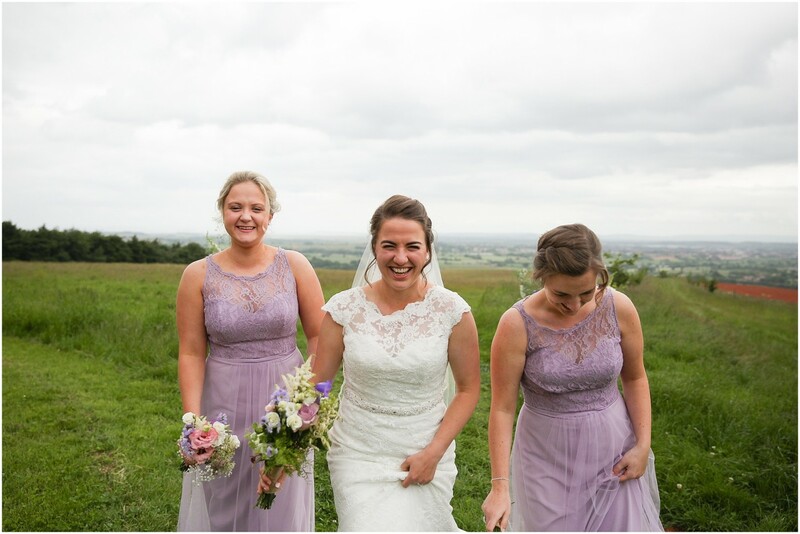 Smiles were endless! 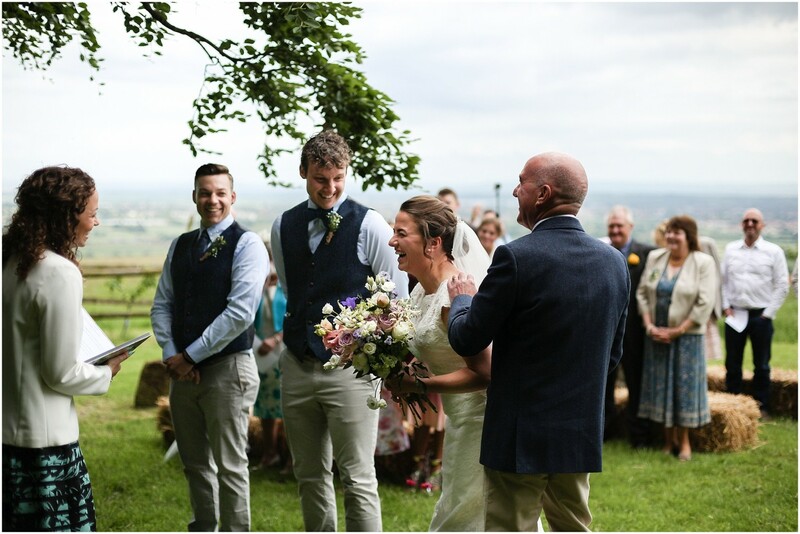 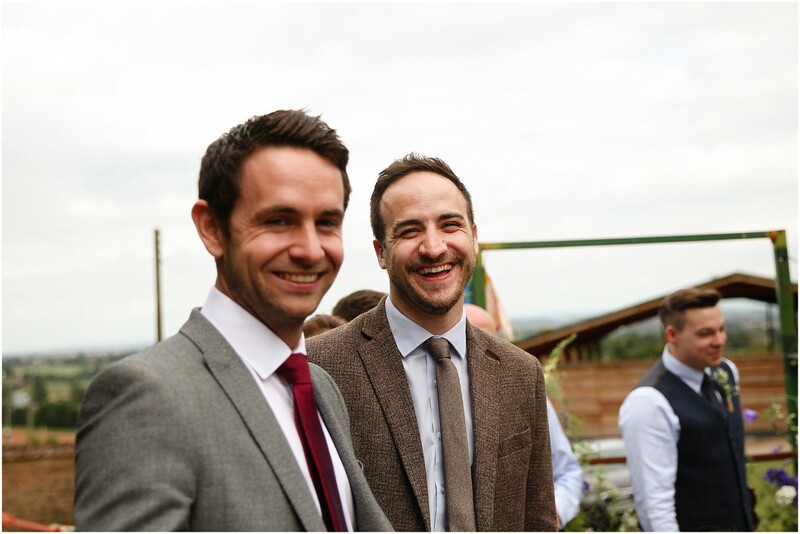 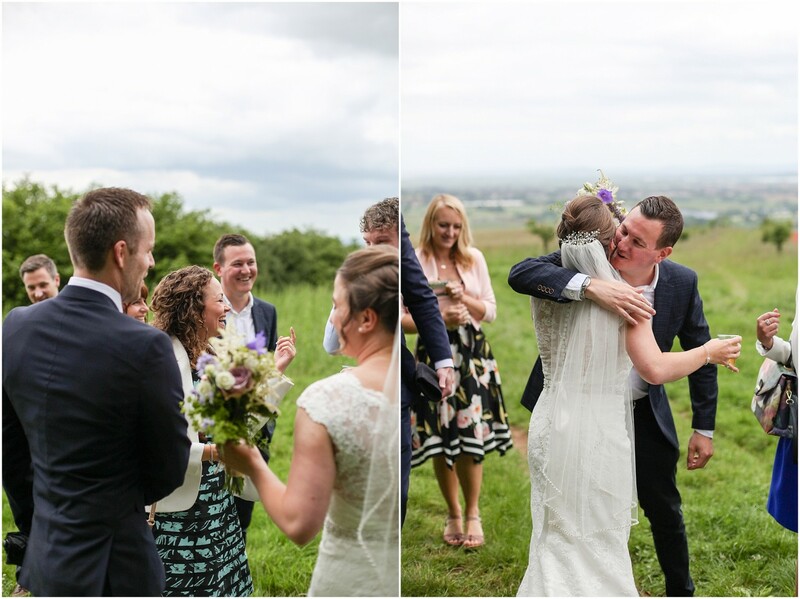 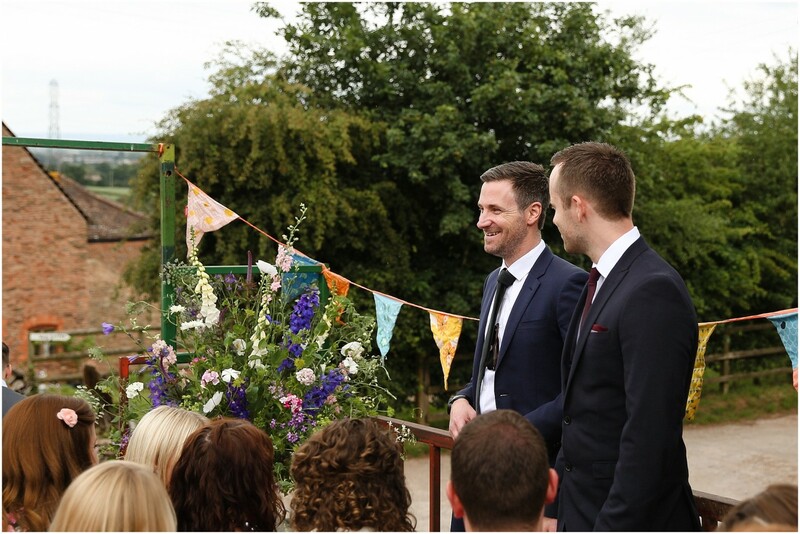 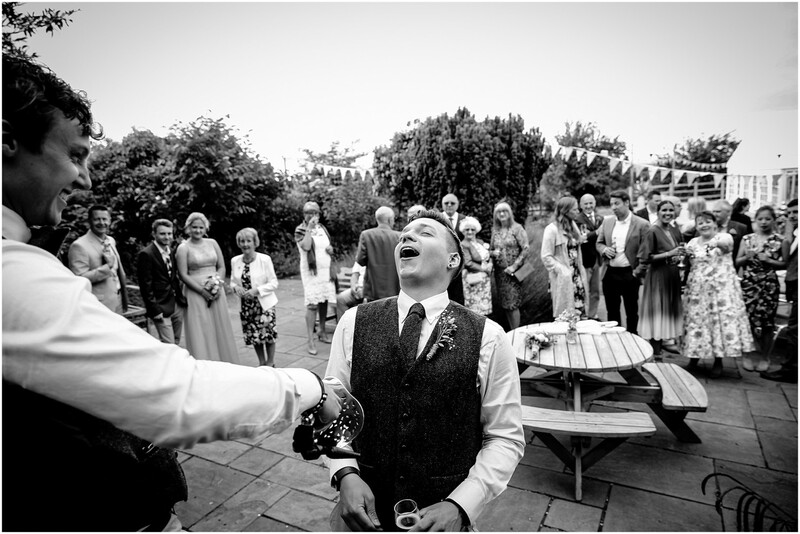 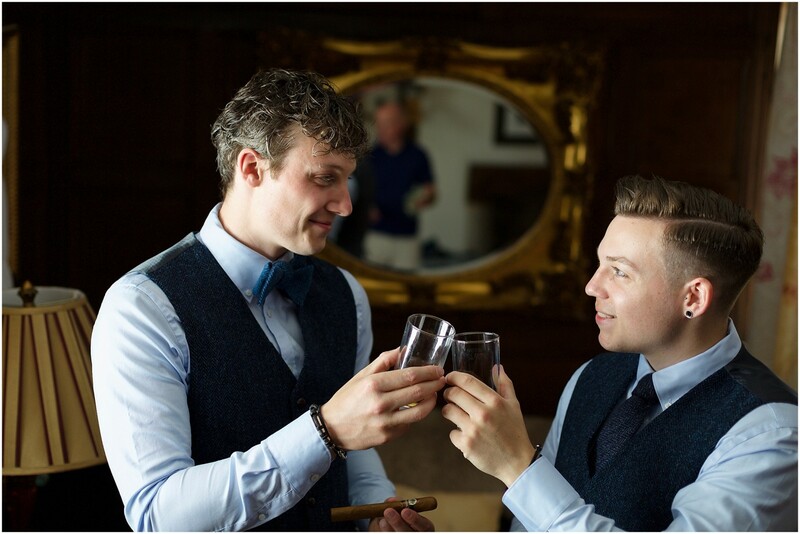 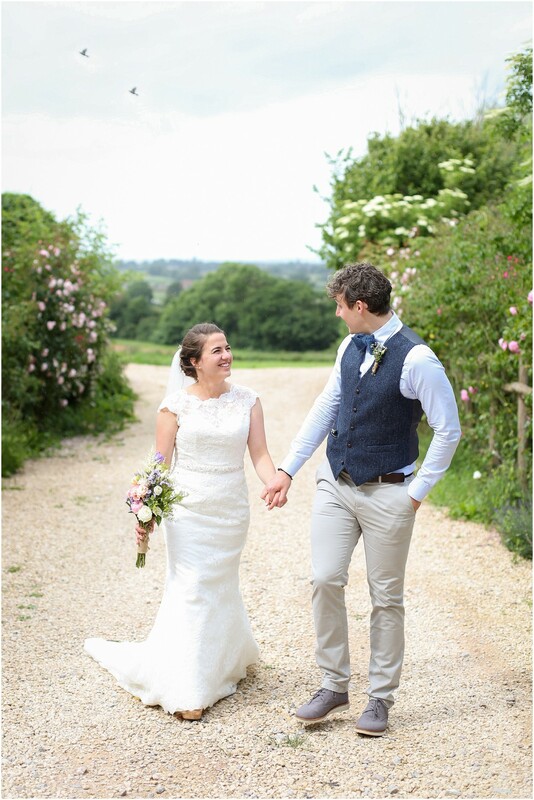 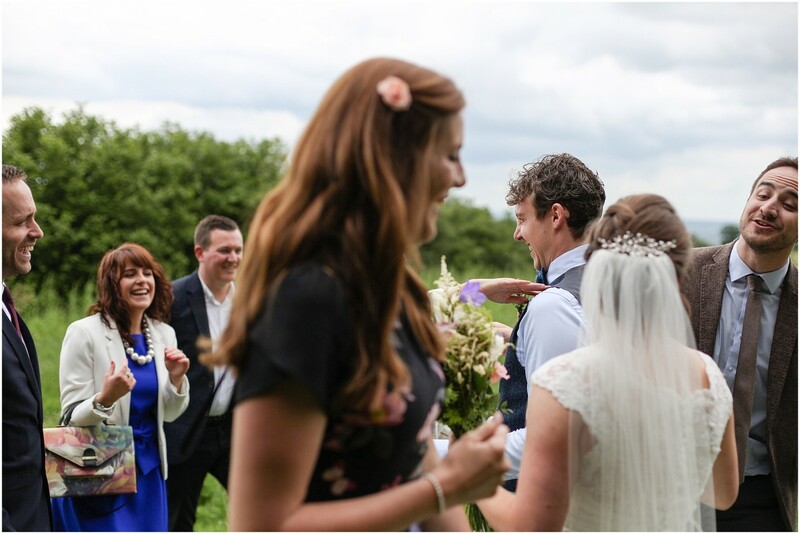 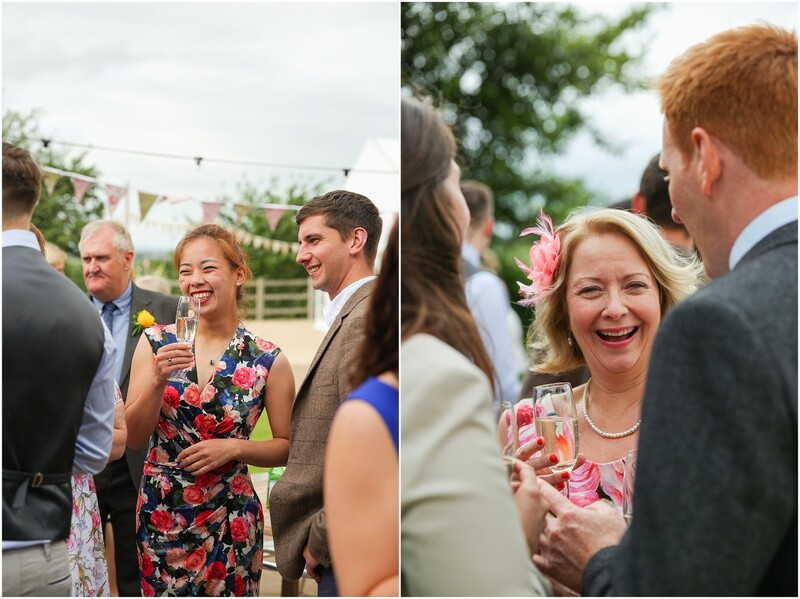 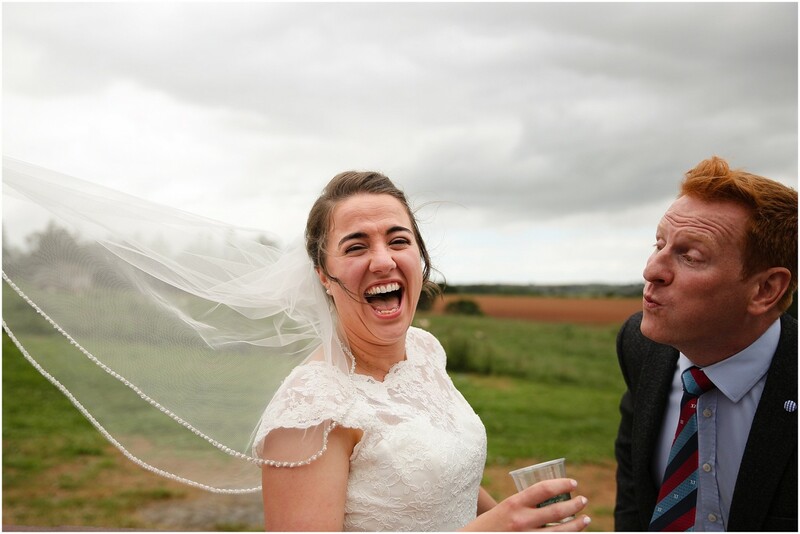 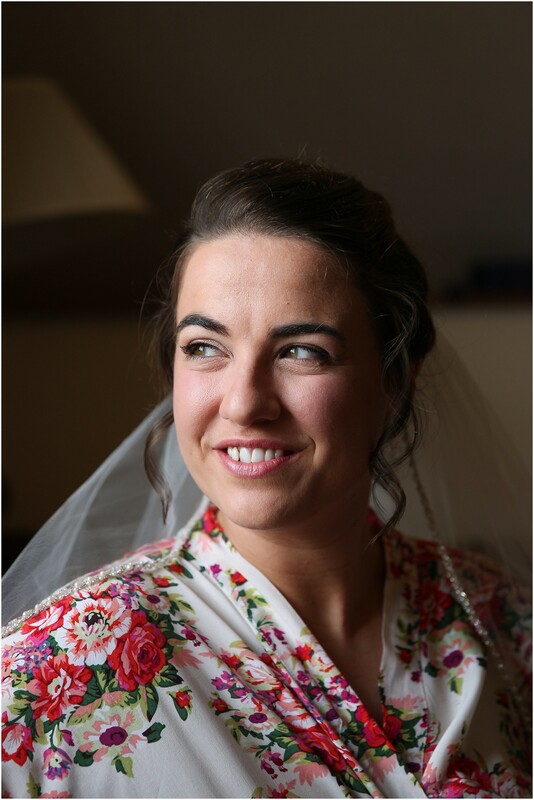 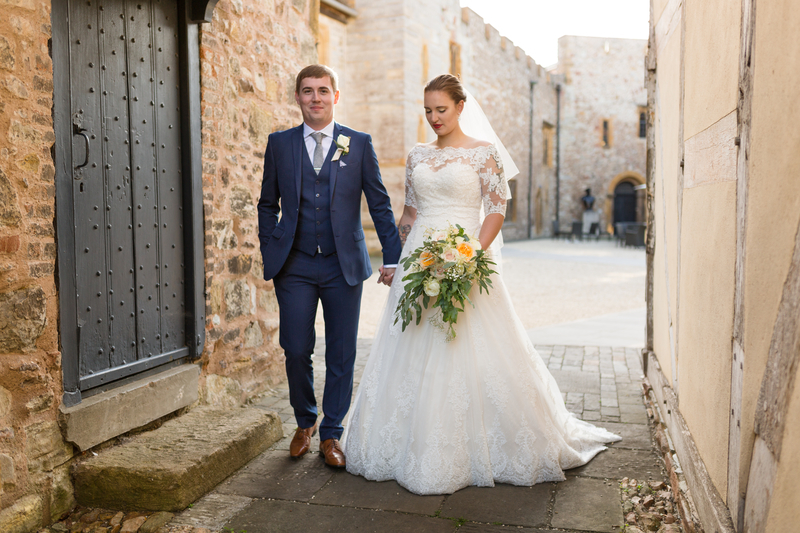 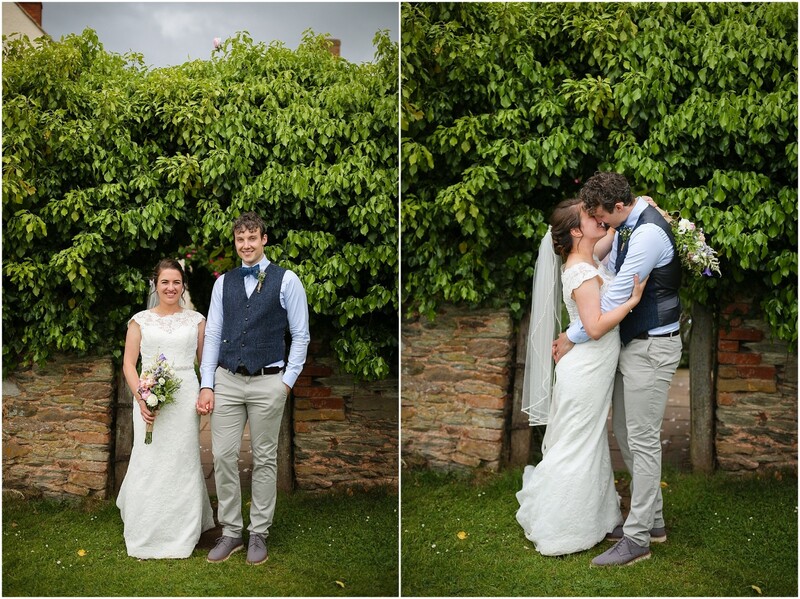 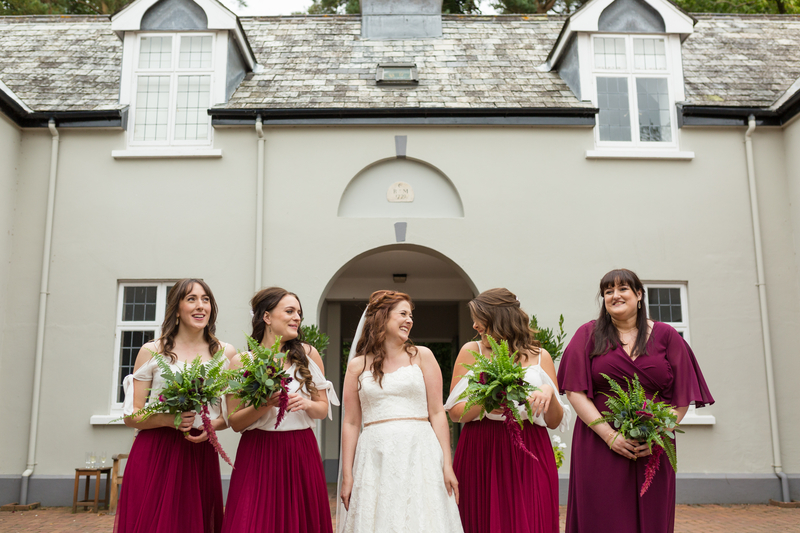 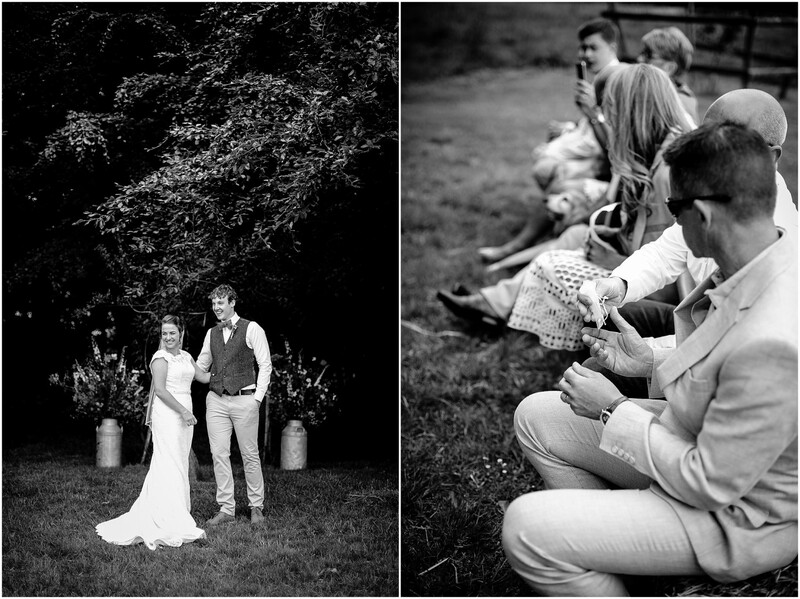 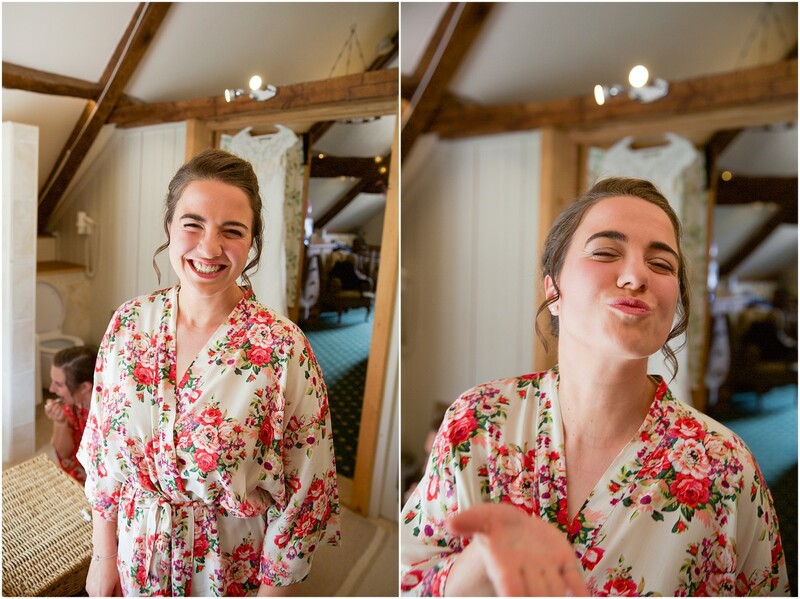 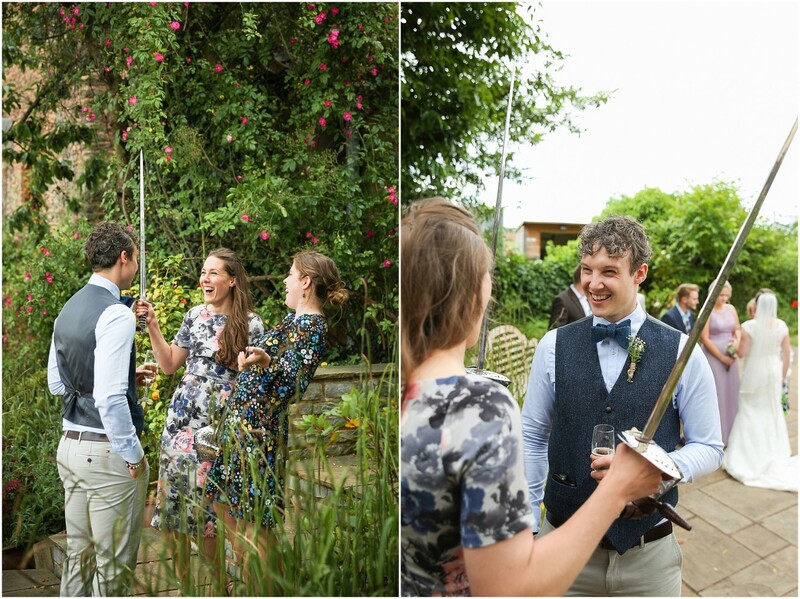 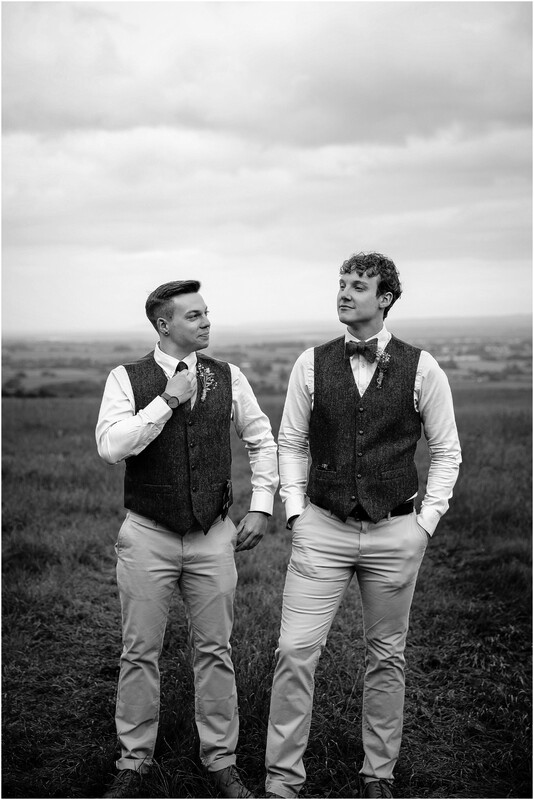 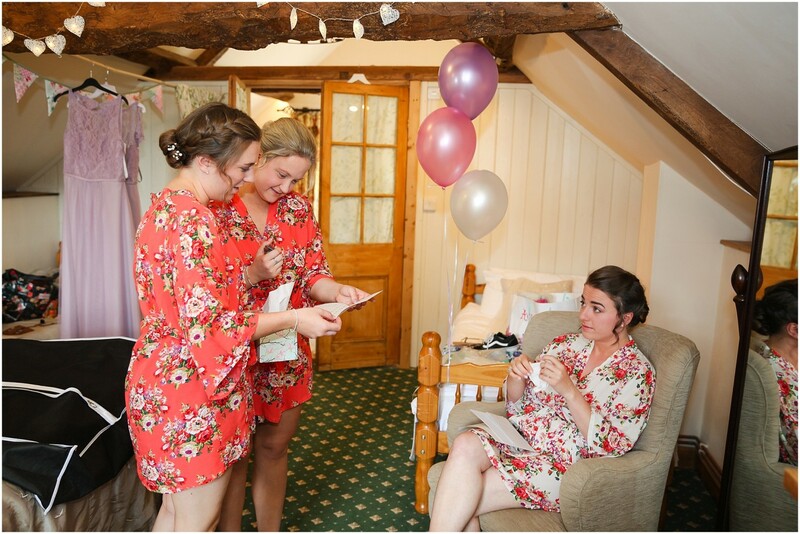 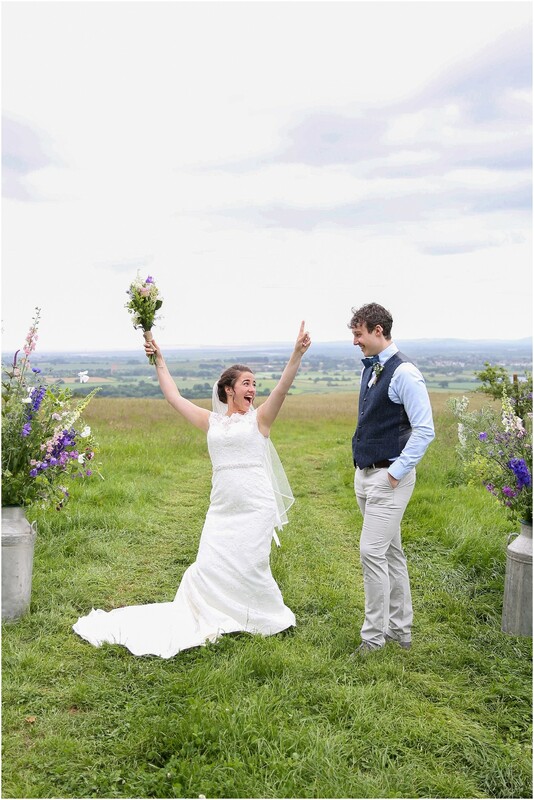 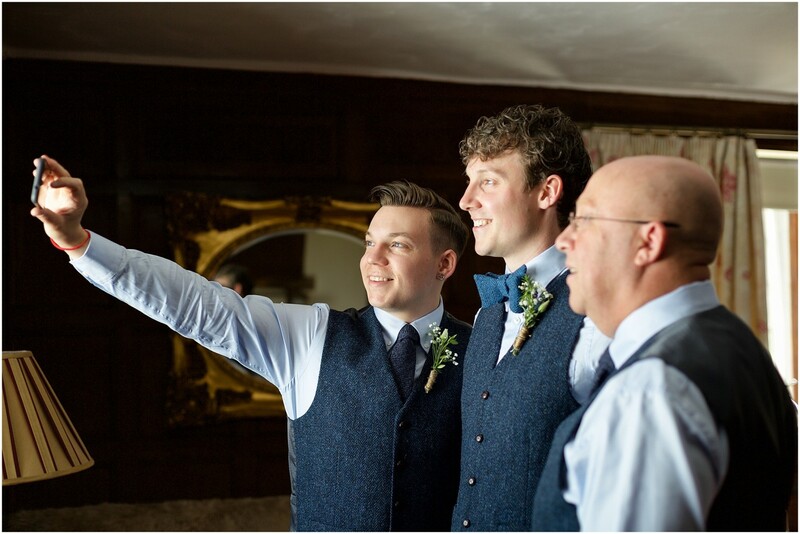 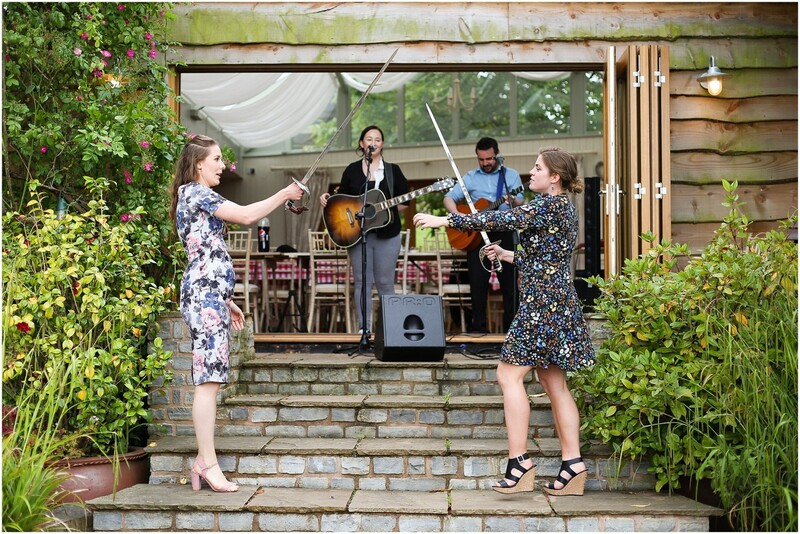 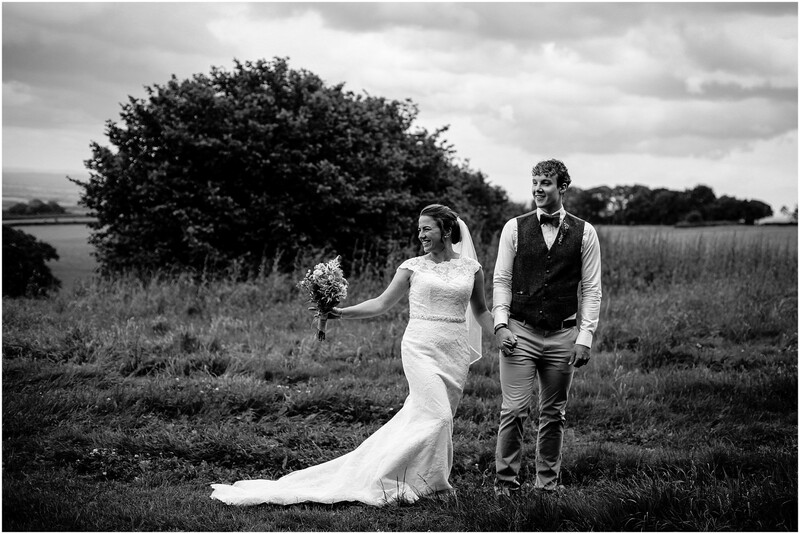 Ceri and Dan are surrounded by the most welcoming, funny and kind friends and family. 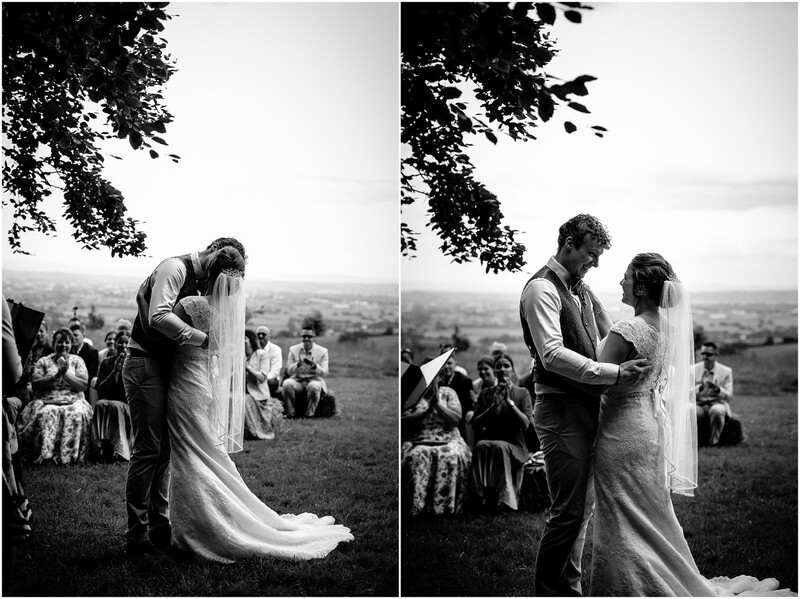 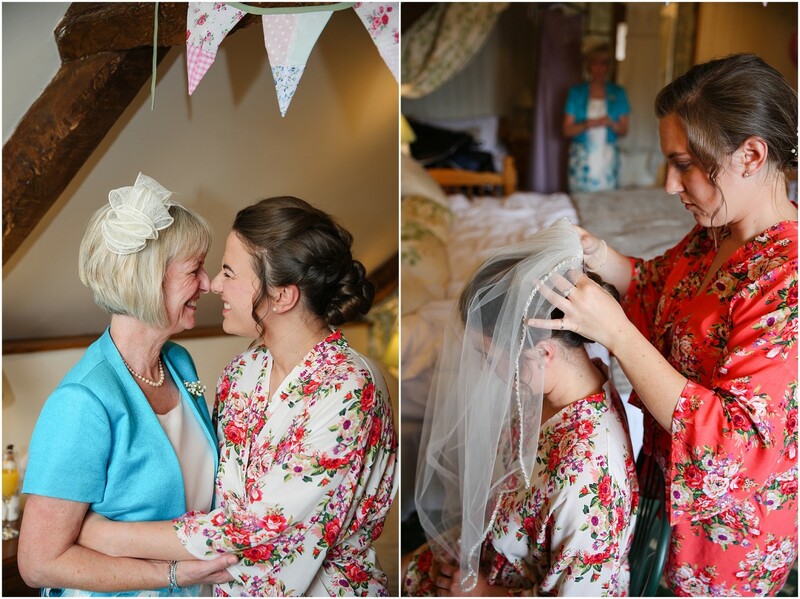 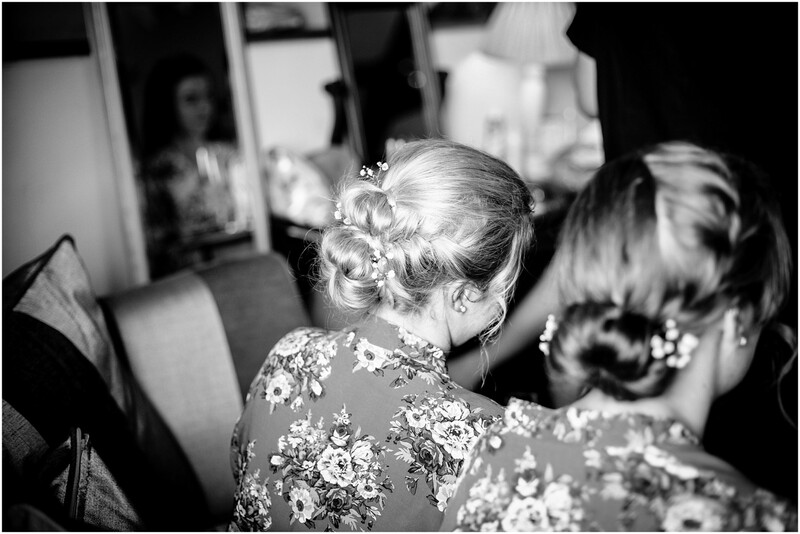 They both looked absolutely incredible and it was an honour to document their day.